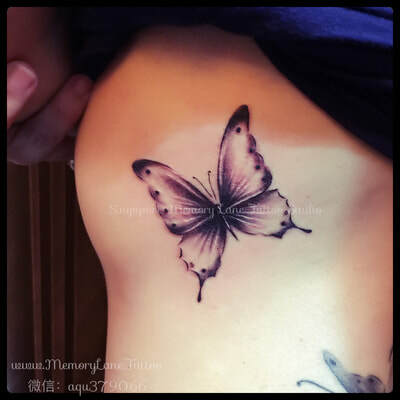 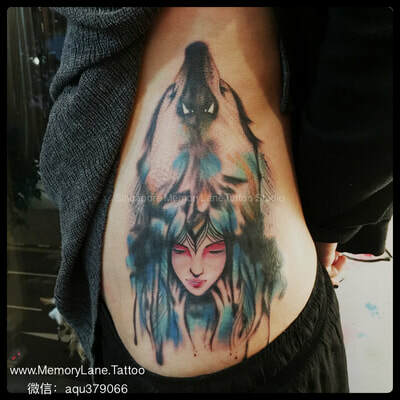 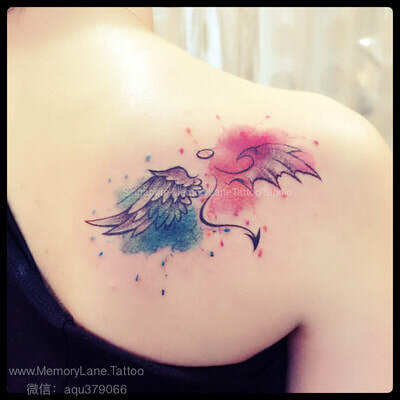 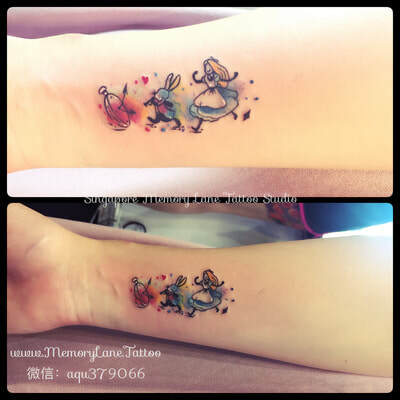 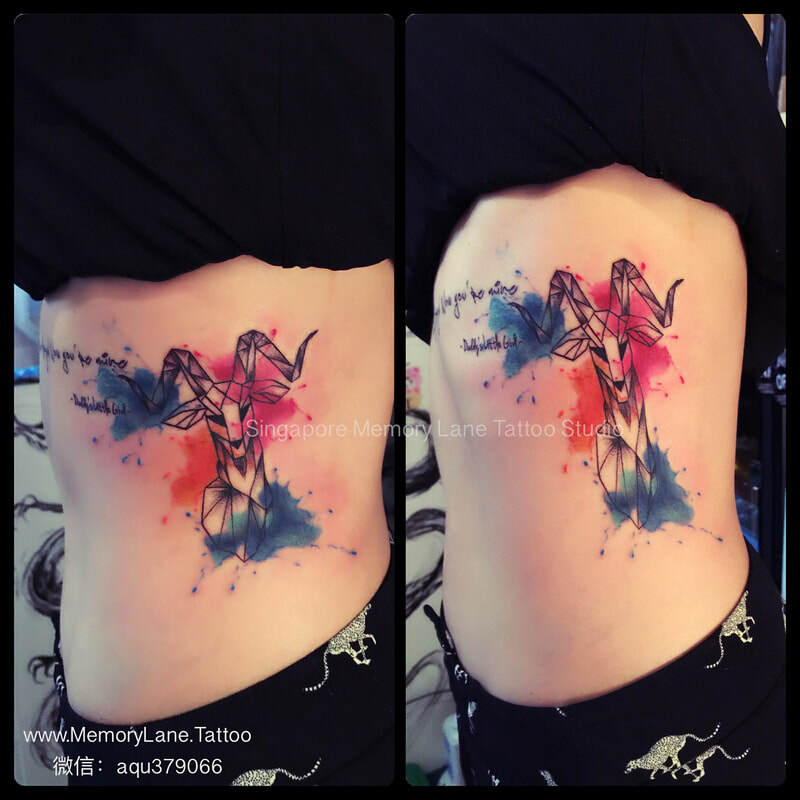 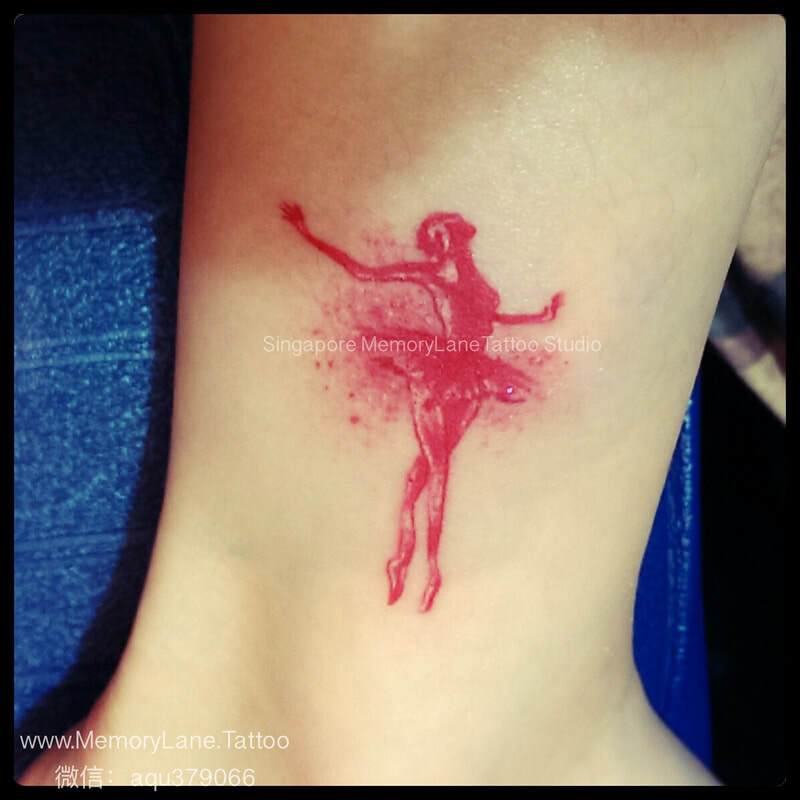 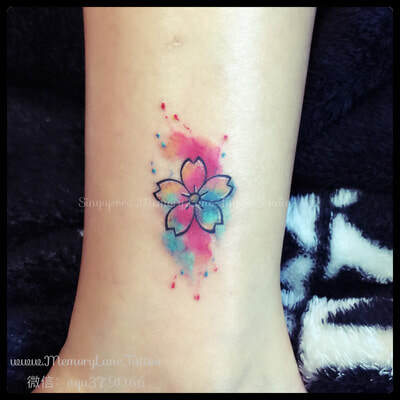 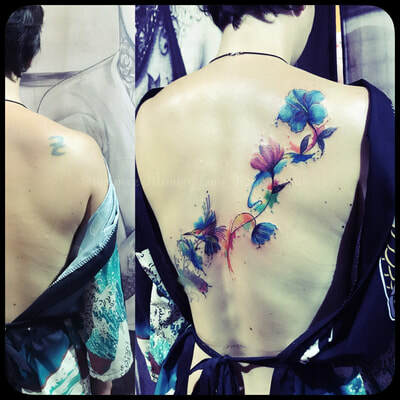 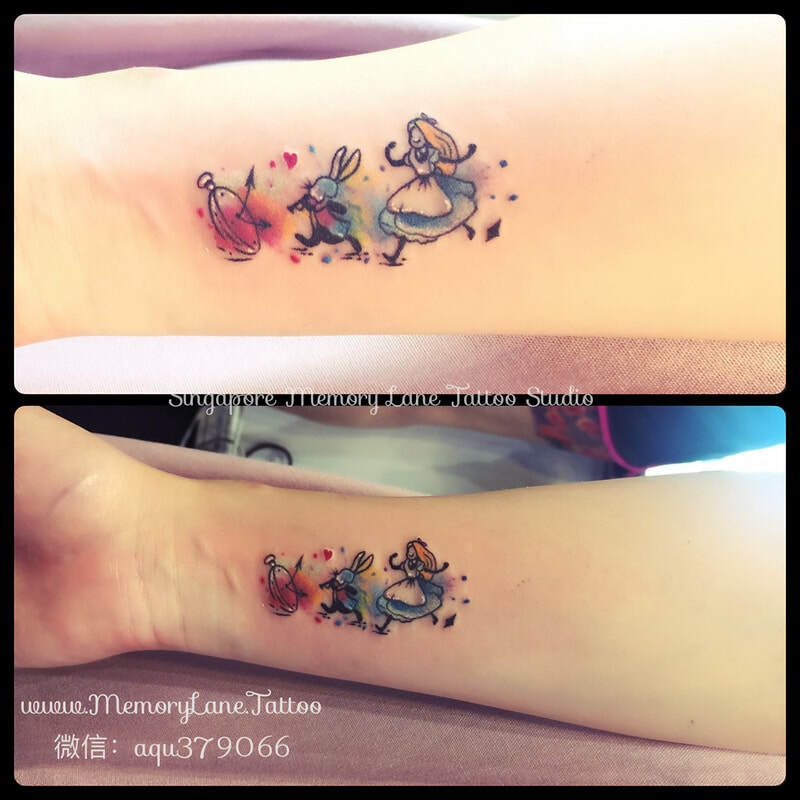 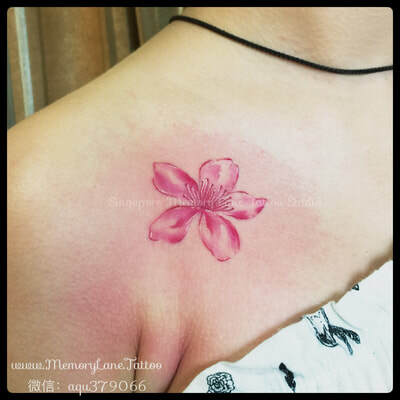 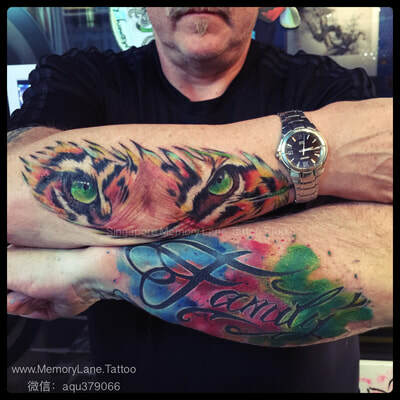 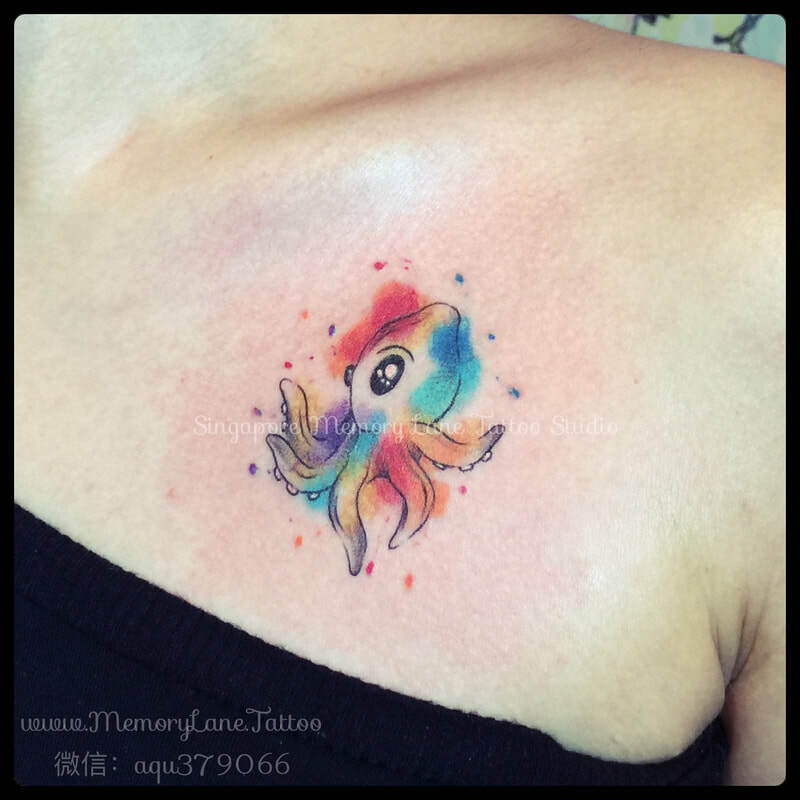 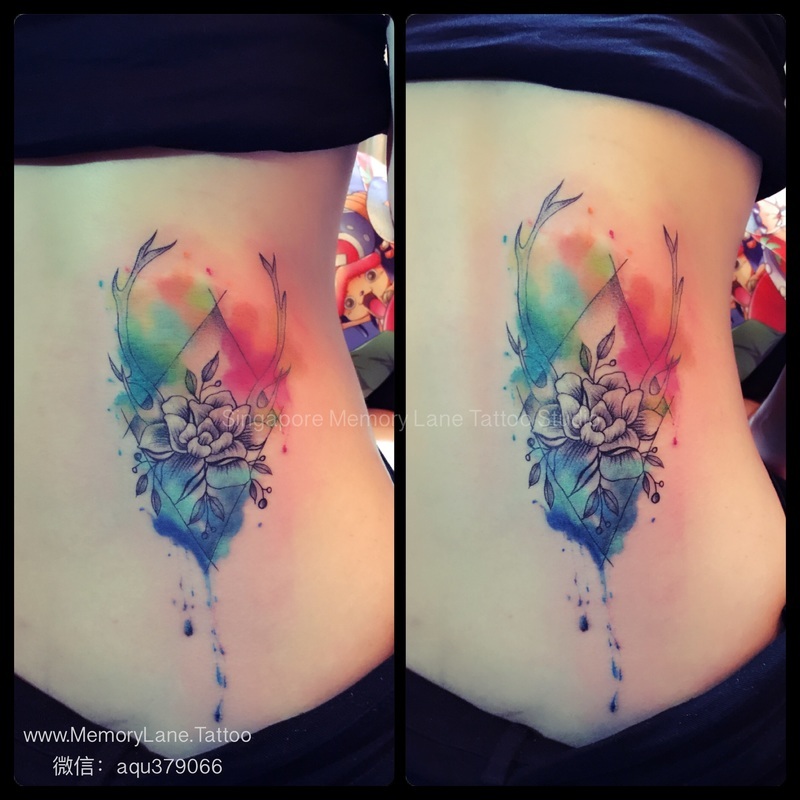 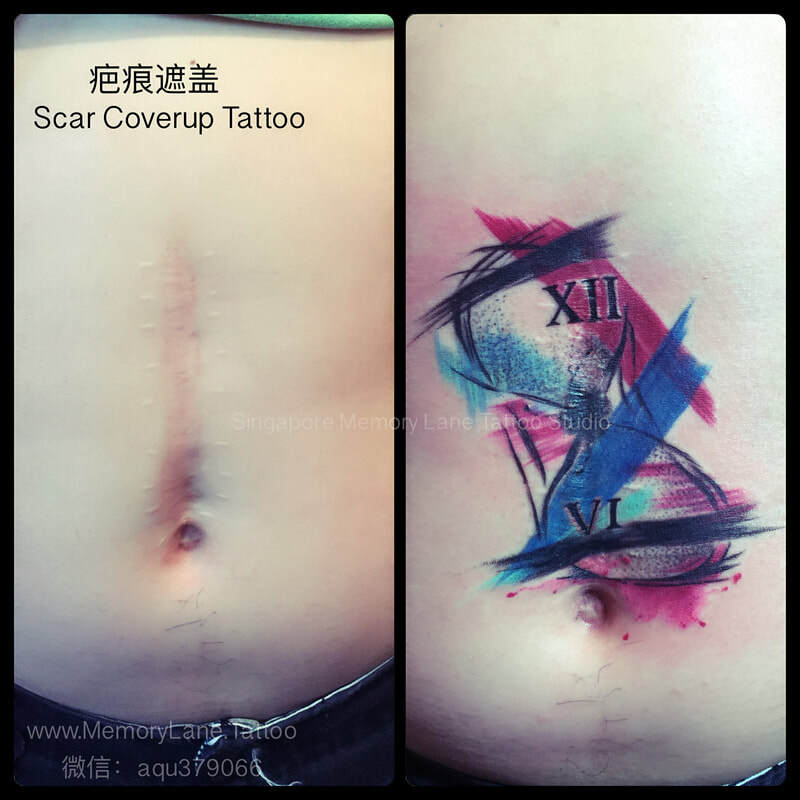 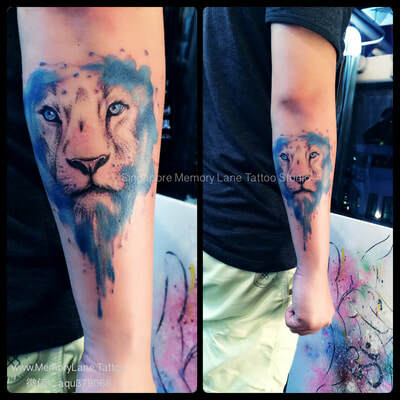 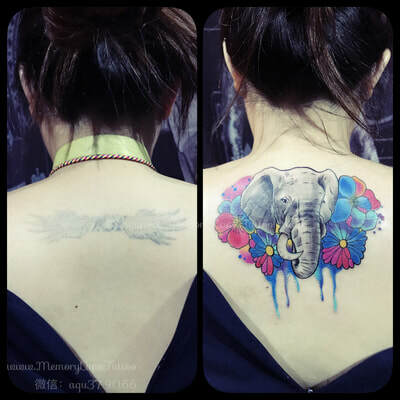 Memory Lane is the only place in the world that offers a unique take on traditional tattoo art with Apple's fusion of the vibrantly dazzling watercolour designs, and Apple's trademarked interpretation of traditional shuimo style painting into a unique category of body art. 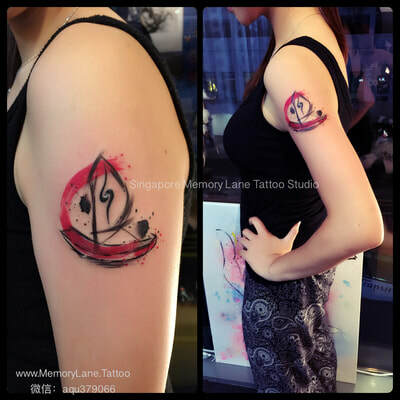 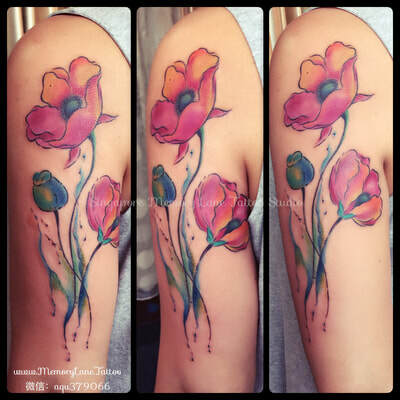 Not all Chinese paintings style and watercolour tattoos are alike. 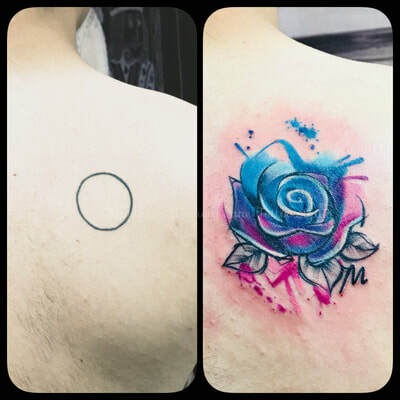 Some artist tend to emulate and copy other artist's work, some create designs from scratch, but without a solid background in fine arts, they tend to become poorly executed and looks lifeless or strained. Apple Qu was already an accomplished artist in imagery and surreal oil painting before embarking on her tattooing journey over a decade ago. 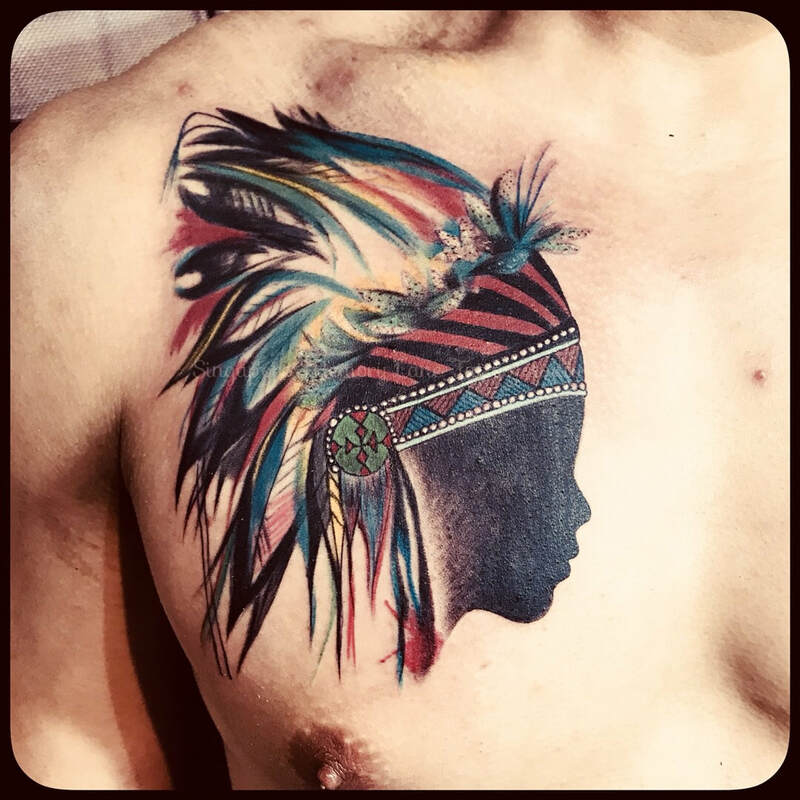 Under the tutelage of her teachers, she did many paintings and was influenced by both native and foreign artists in a wide variety of genres and mediums. 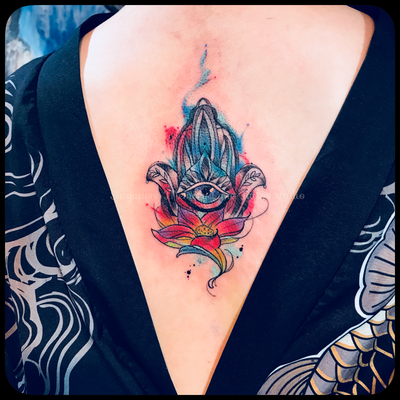 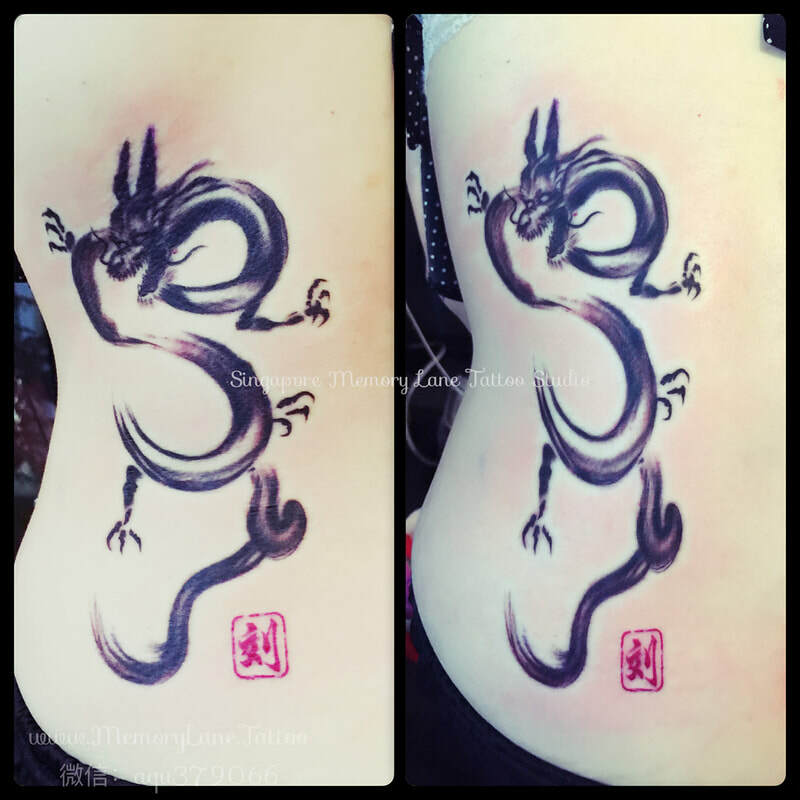 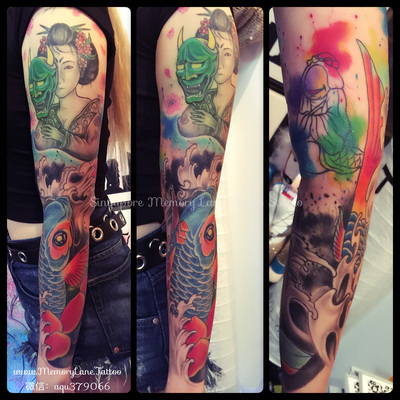 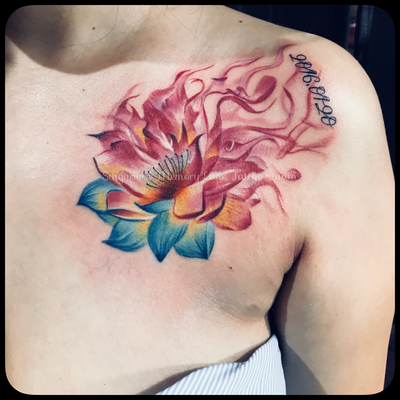 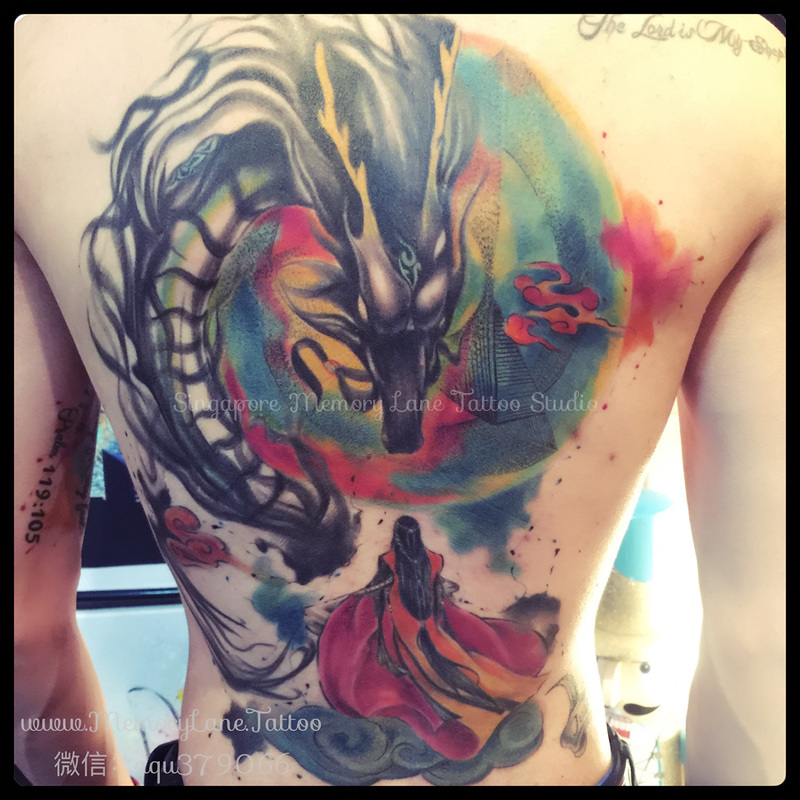 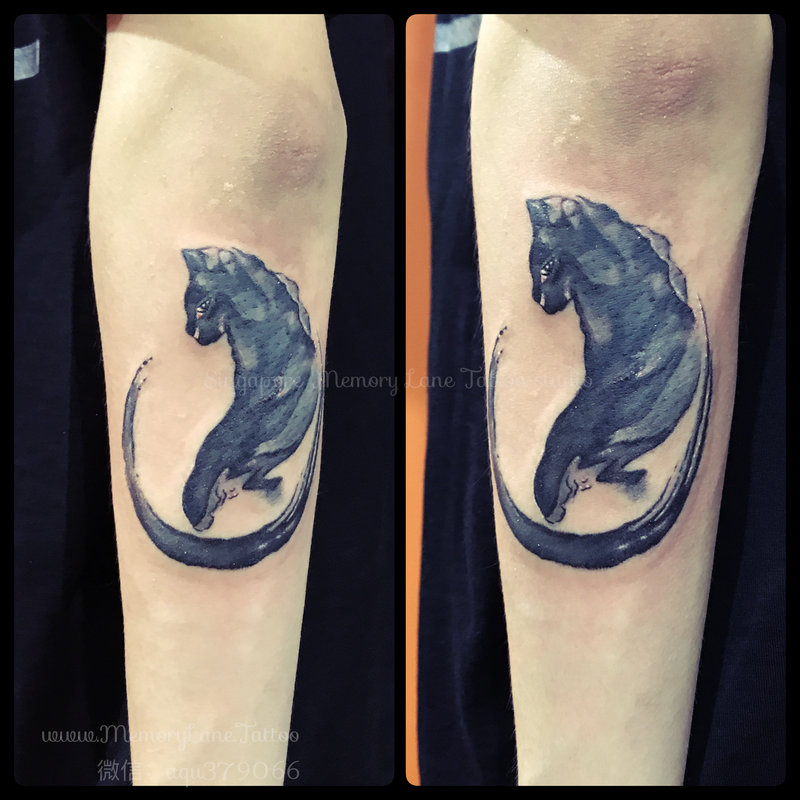 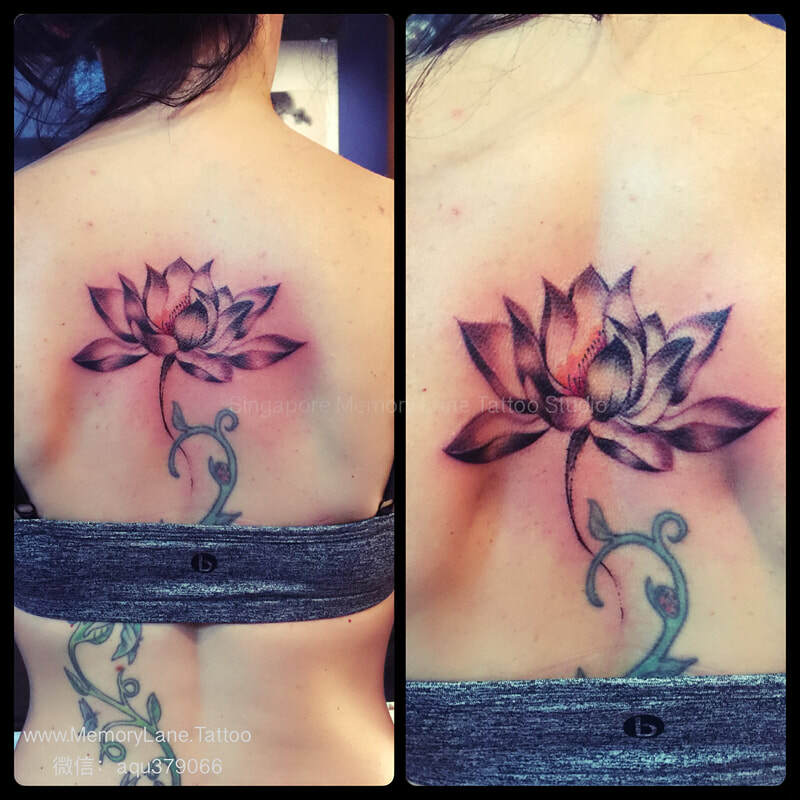 Upon embarking on her tattooing journey, she has not forgotten her roots, and has continually seek to blend her deep appreciation of traditional Chinese art into the modern art form of tattooing. 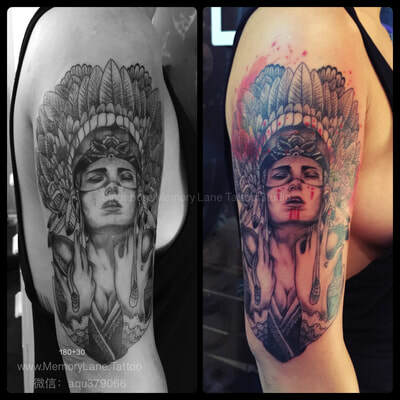 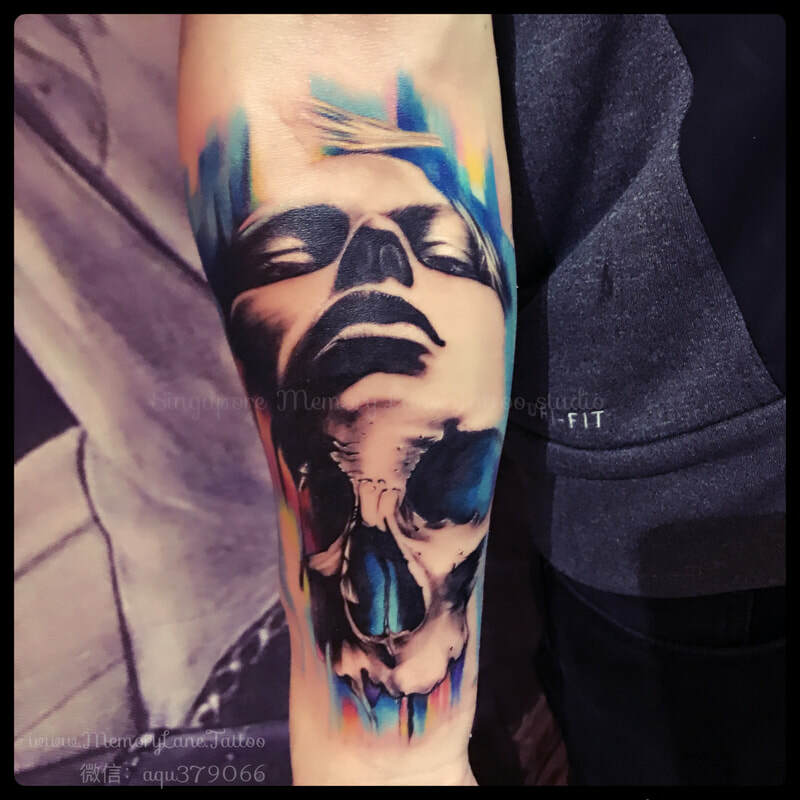 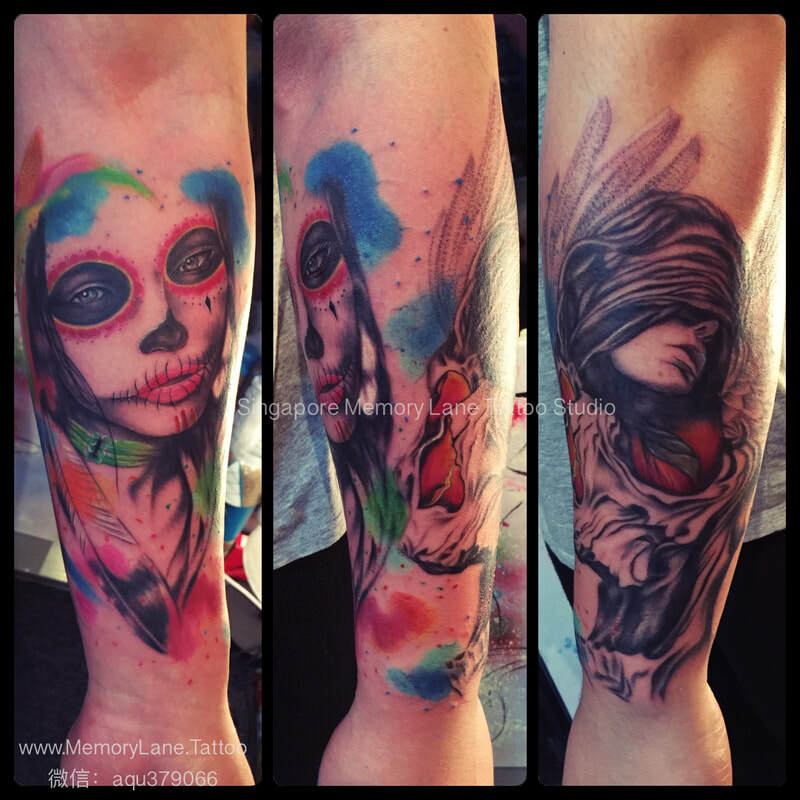 This synergy of genres has led her to develop her unique soft brush-stroke styles often seen in her tattoo work. 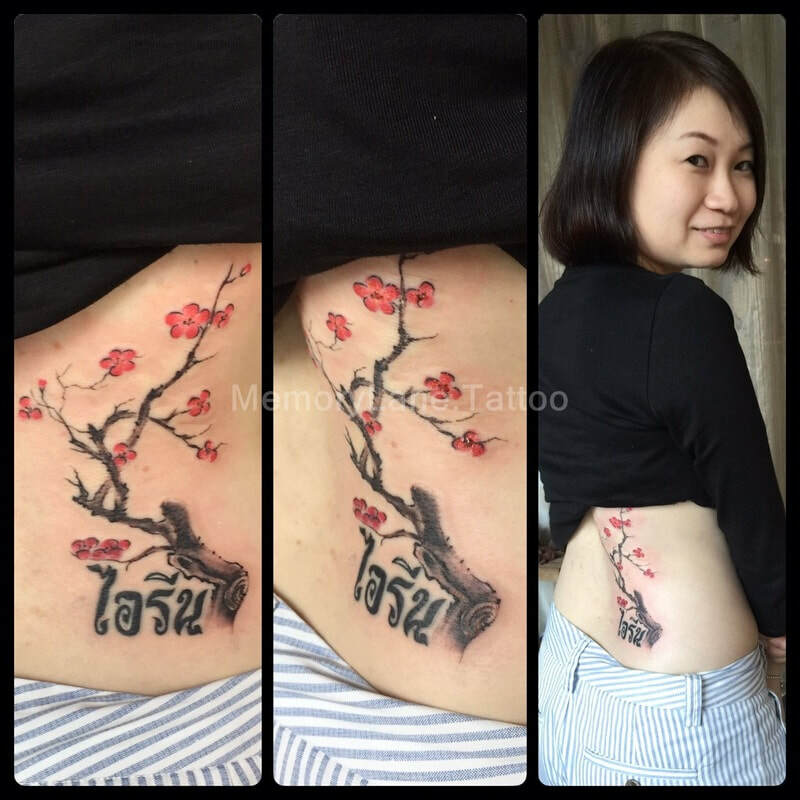 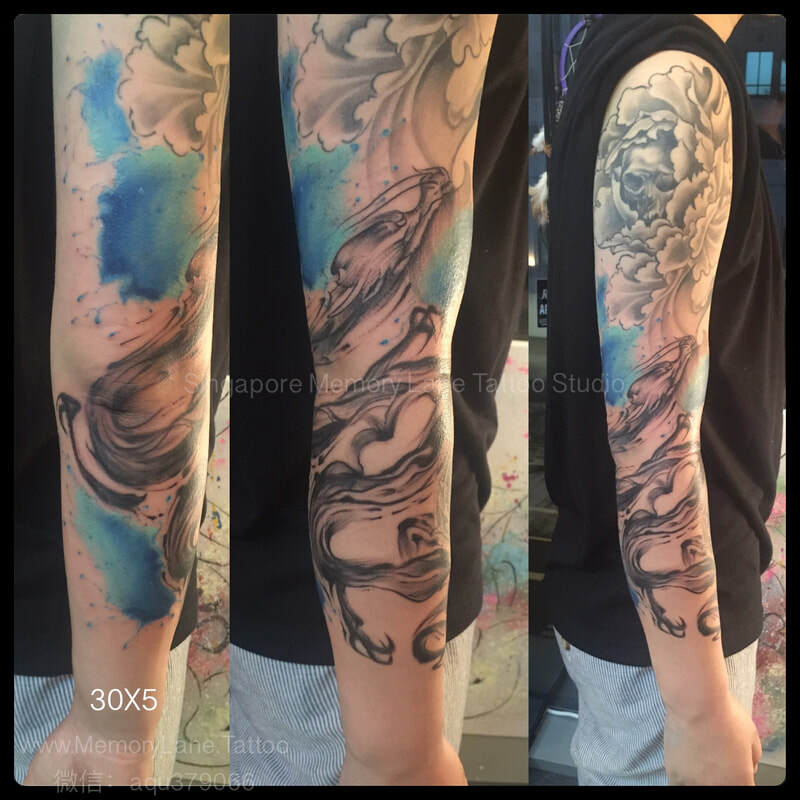 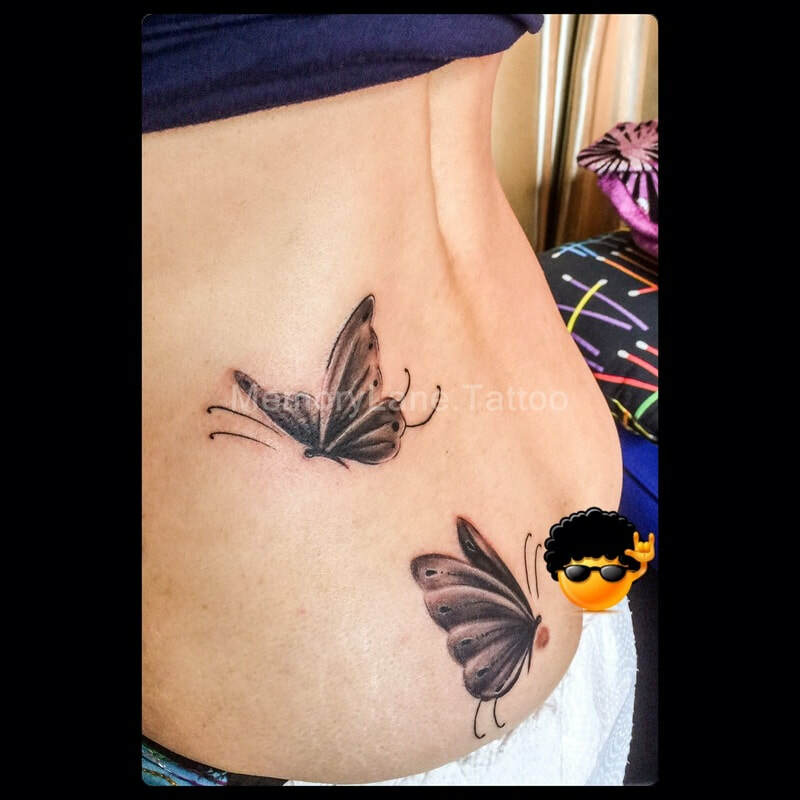 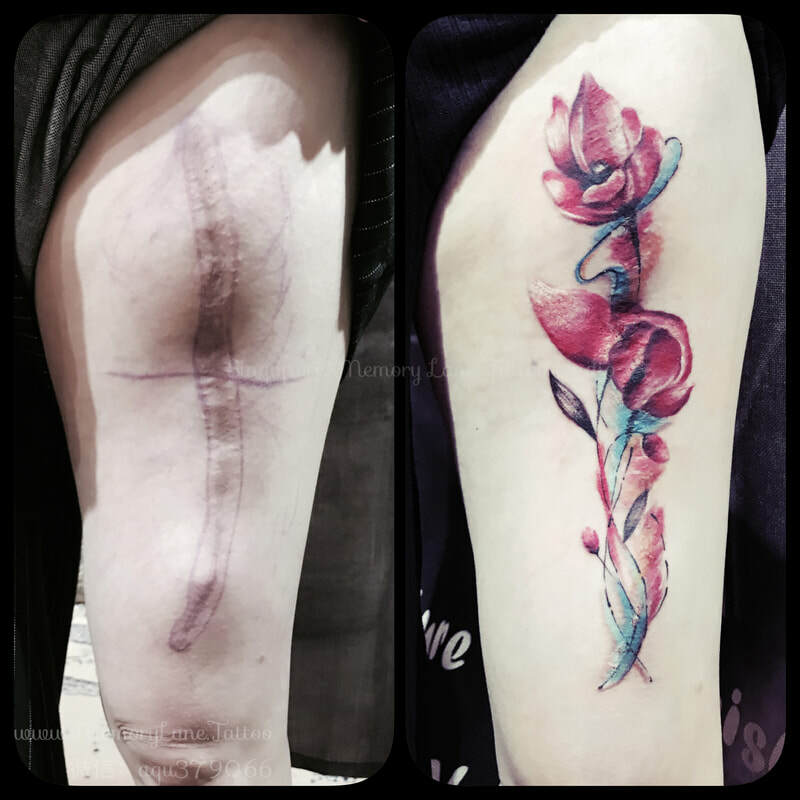 Having established her own tattoo studio in Singapore, Apple has managed to find the time and energy to reestablish this unique art form and to help regenerate an interest in Chinese Painting style tattoos through her skills as a master tattoo artist. 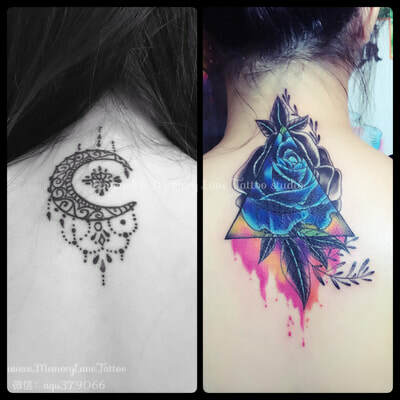 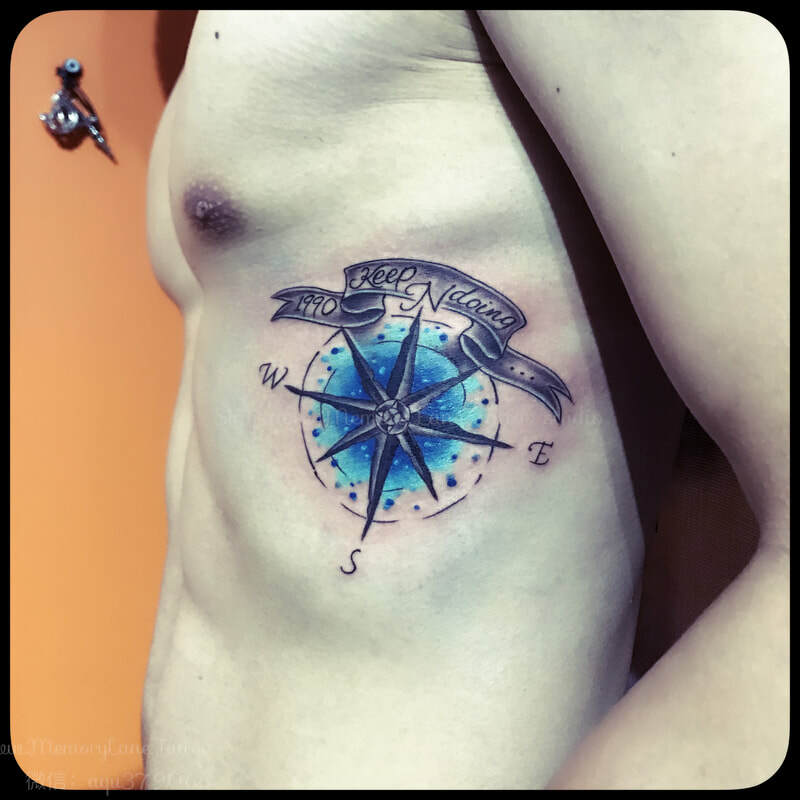 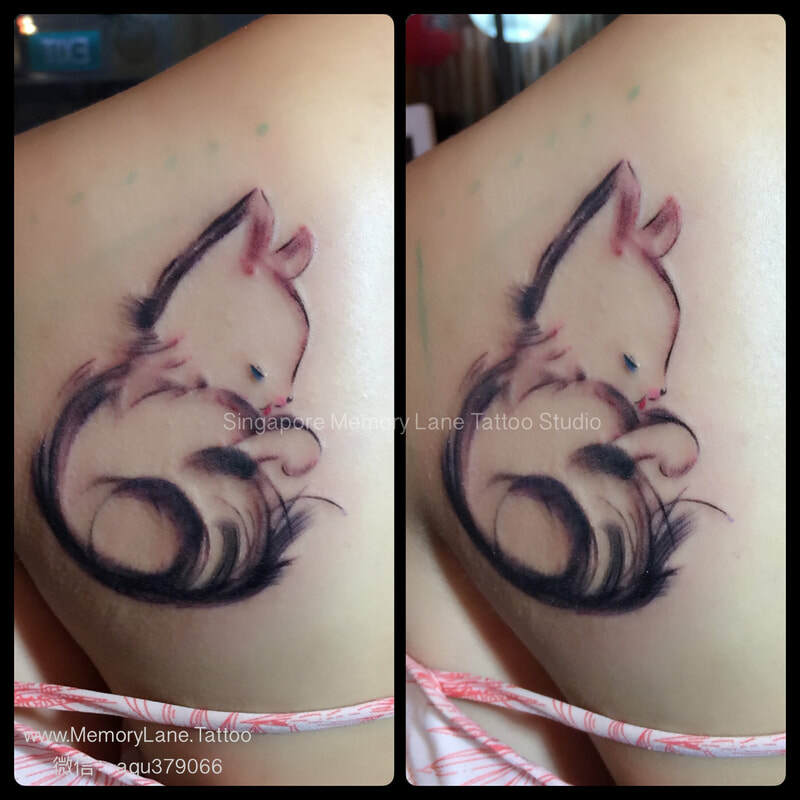 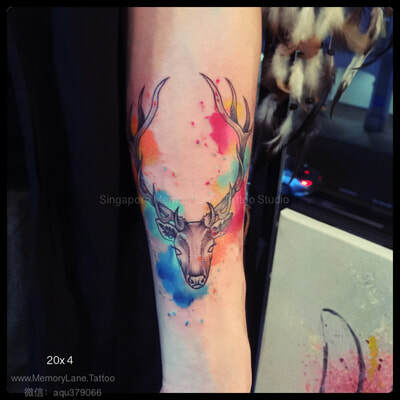 As a result, Apple is currently the only accomplished tattoo artist to offer this unique style of tattooing in Singapore. 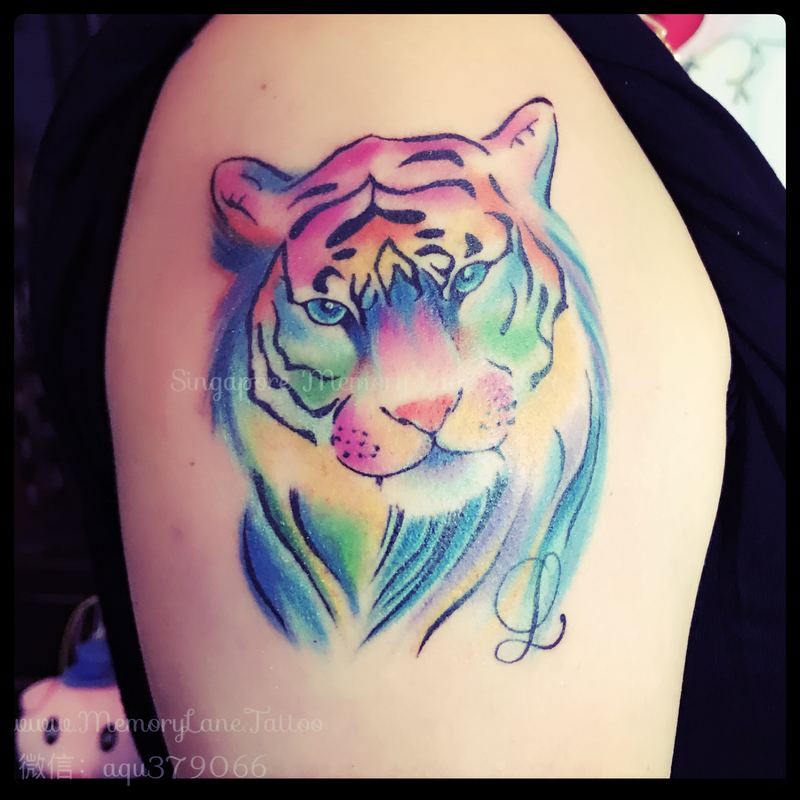 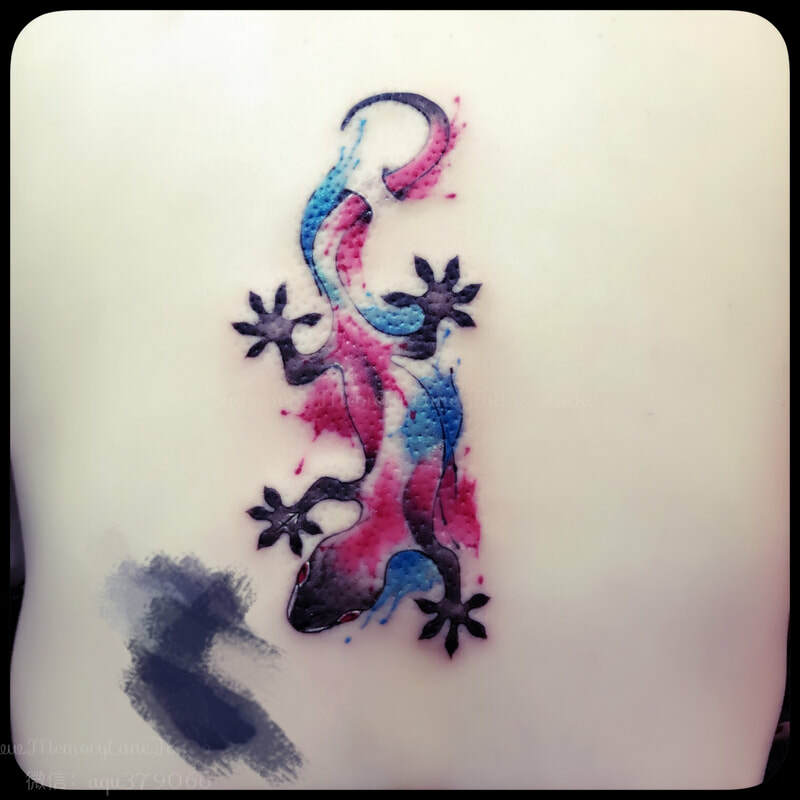 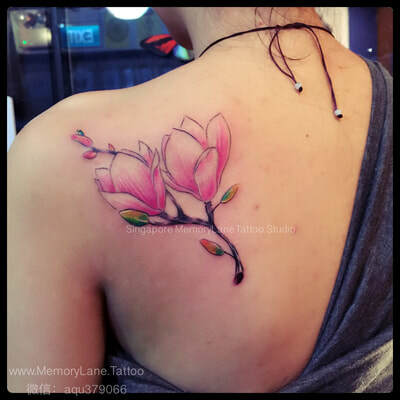 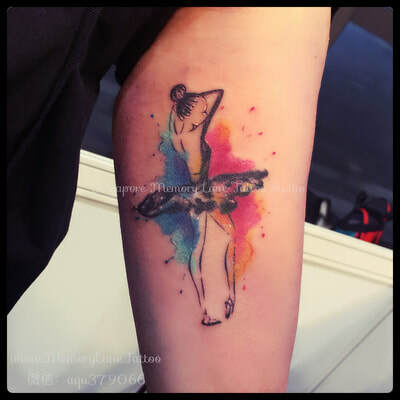 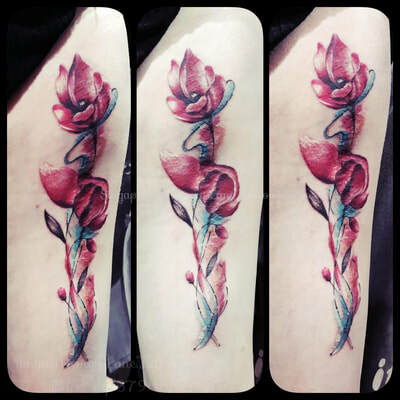 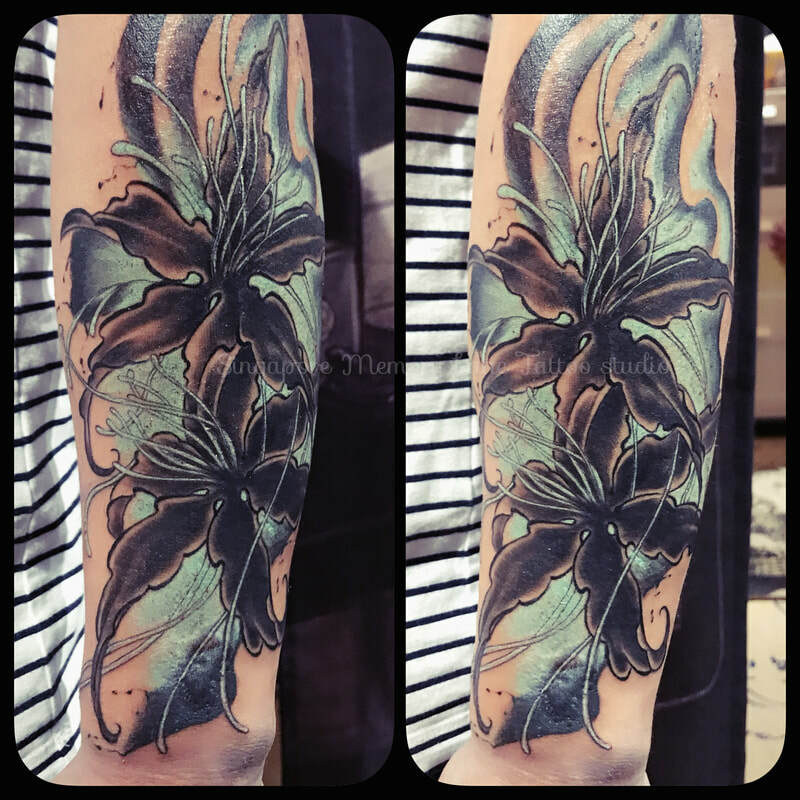 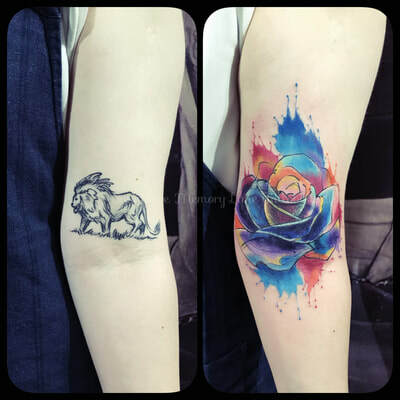 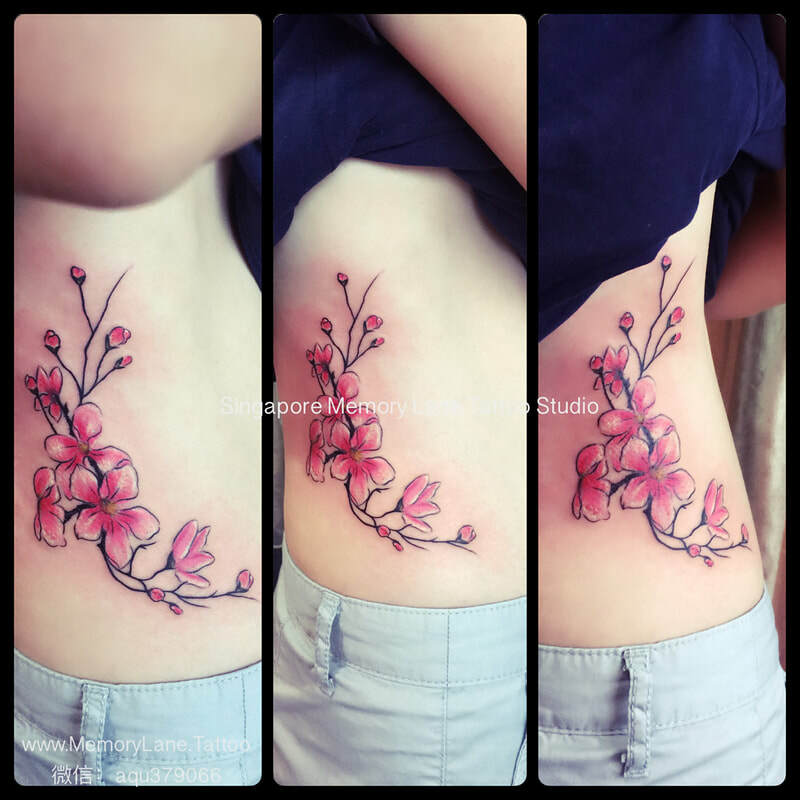 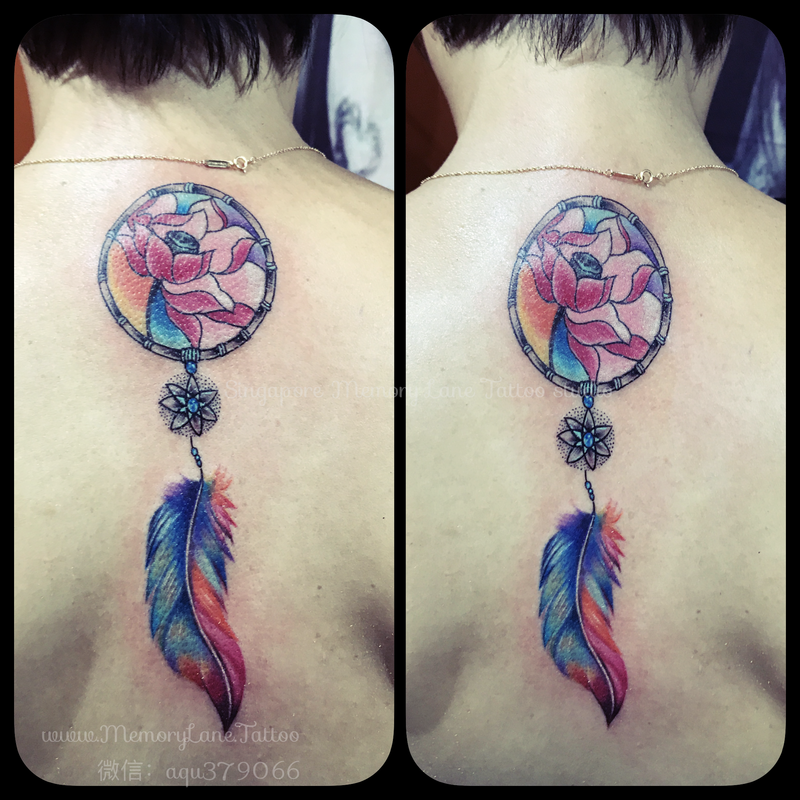 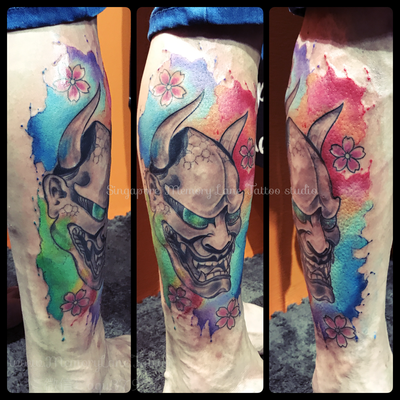 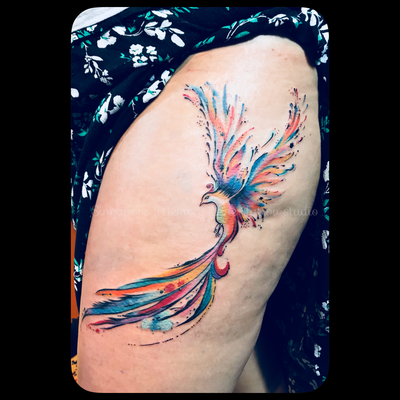 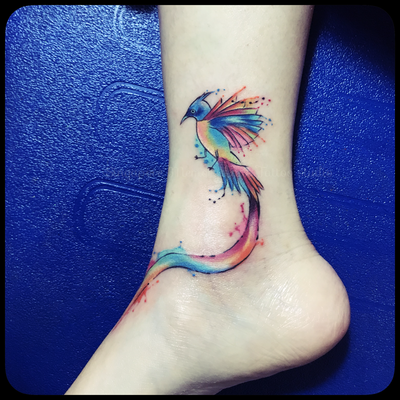 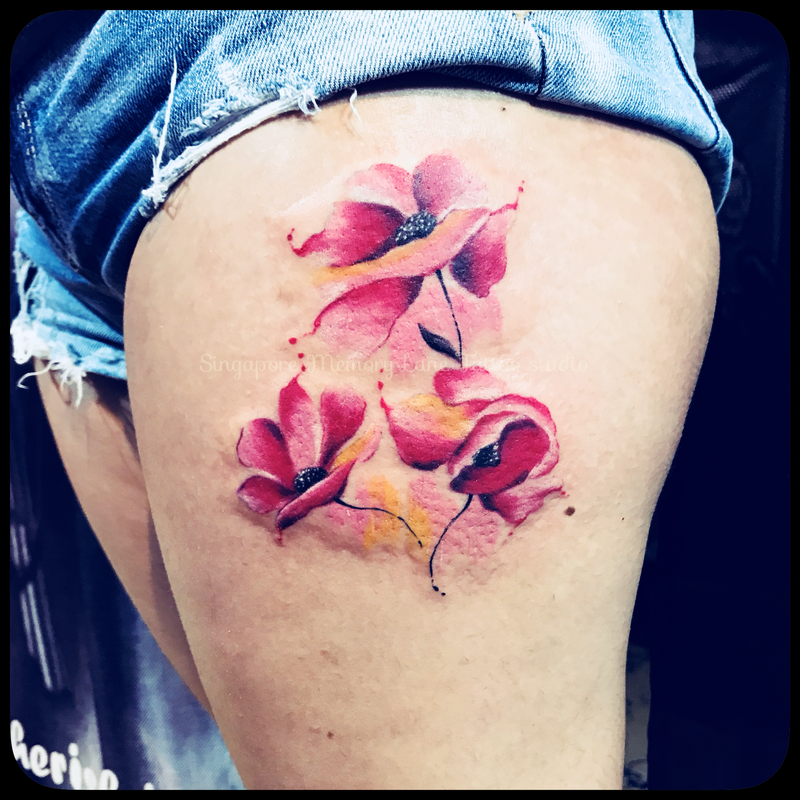 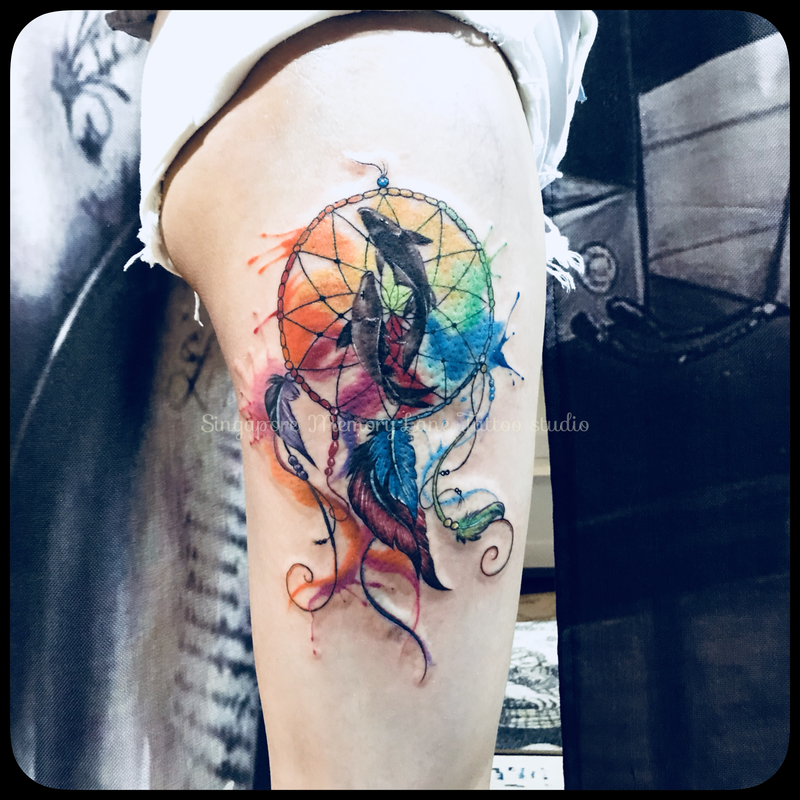 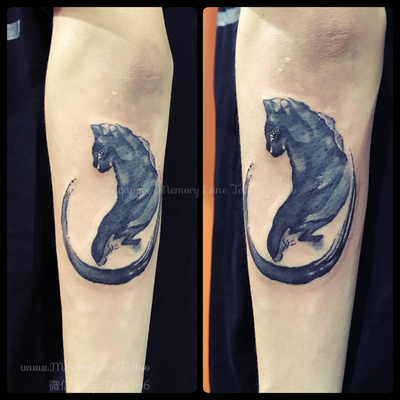 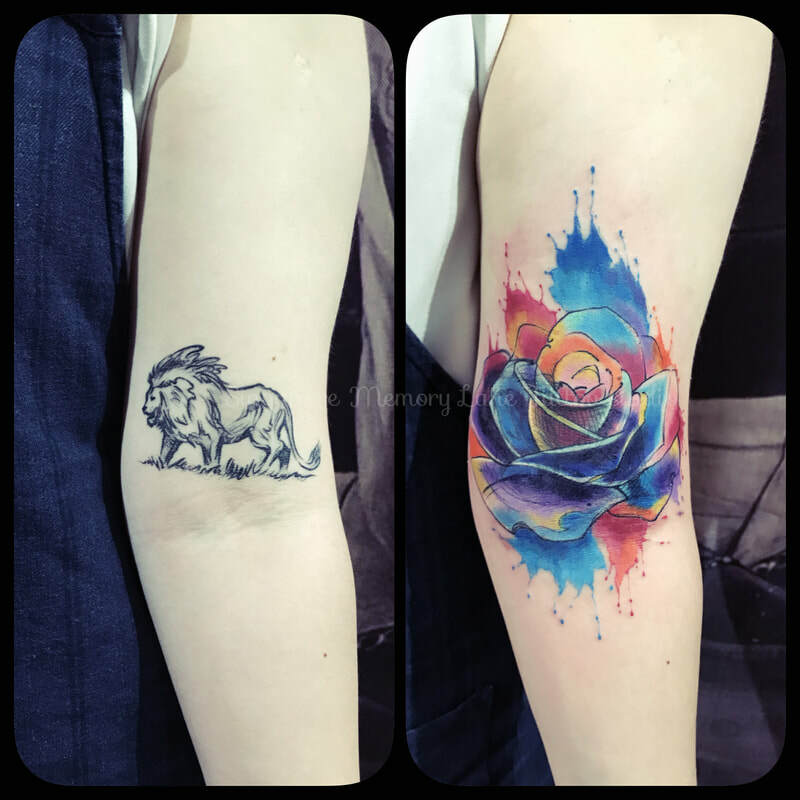 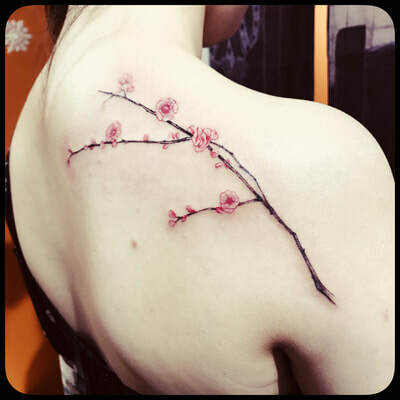 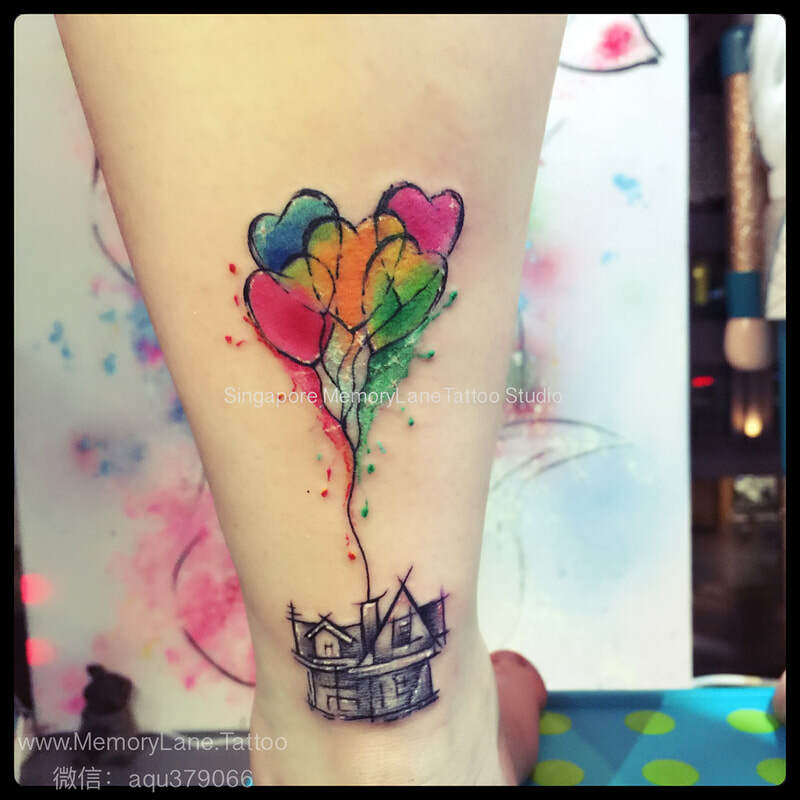 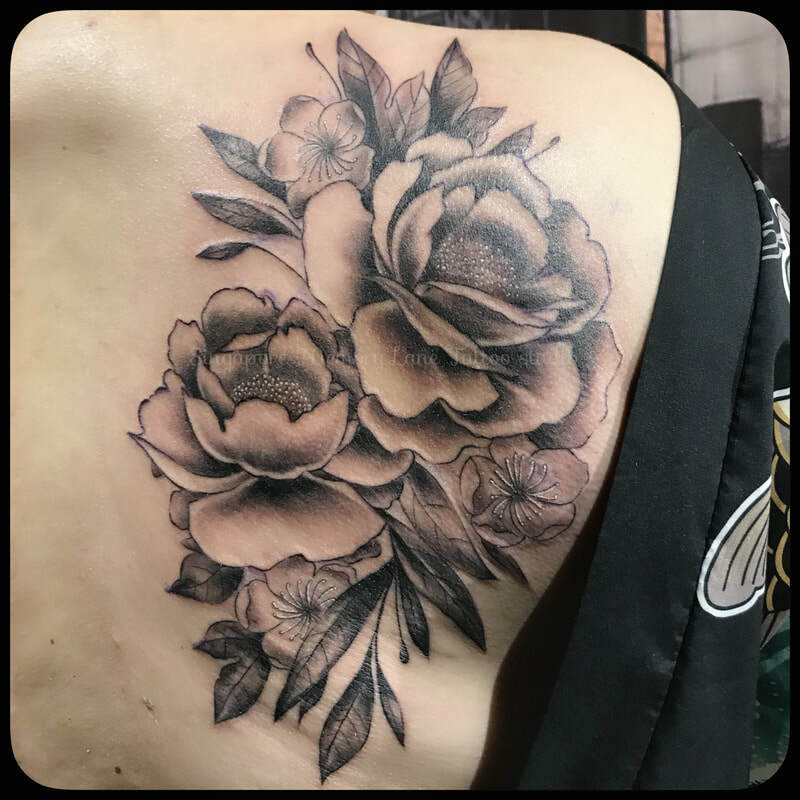 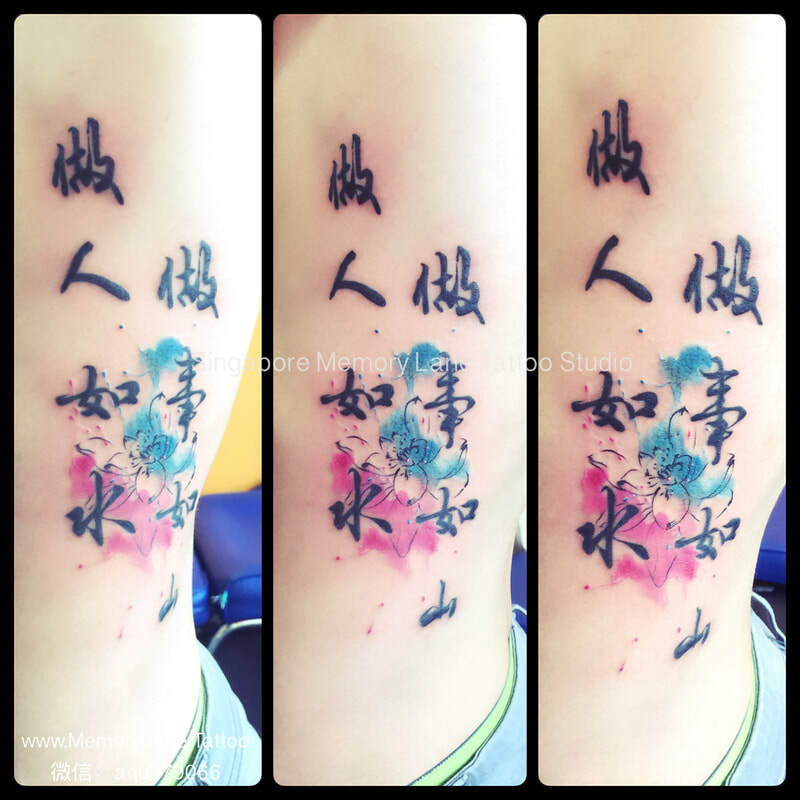 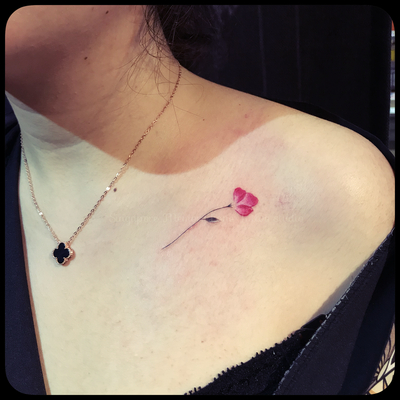 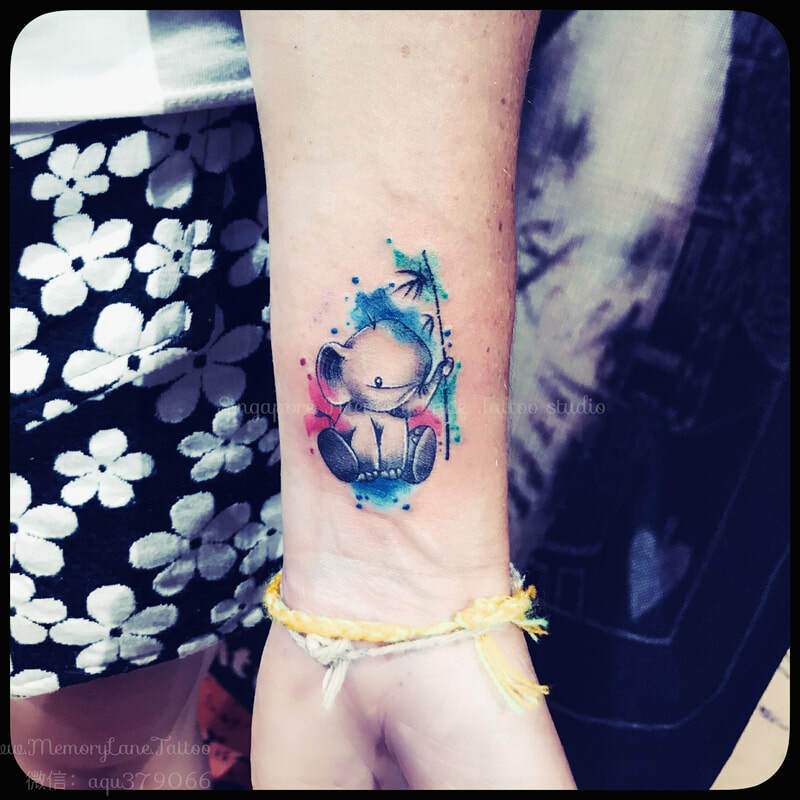 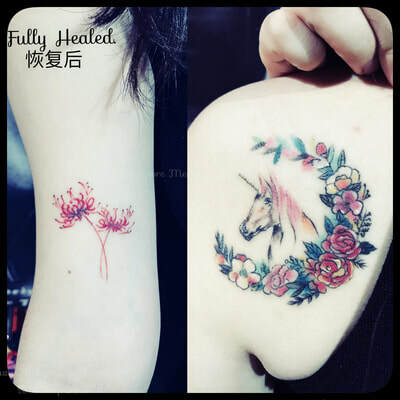 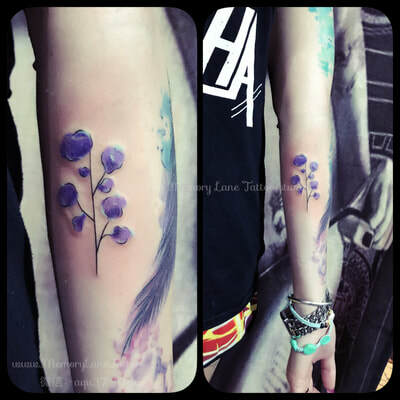 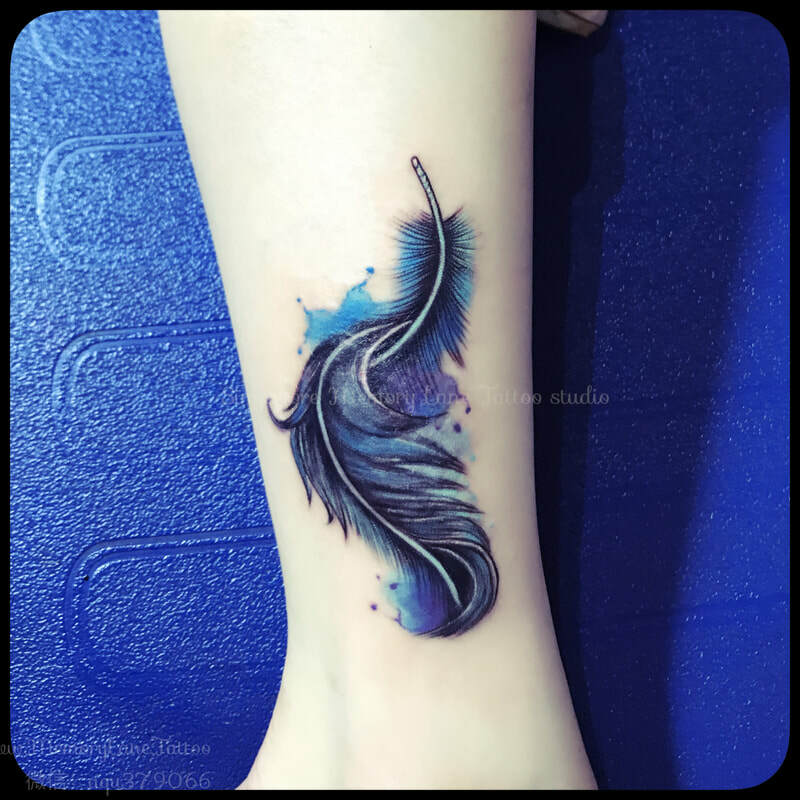 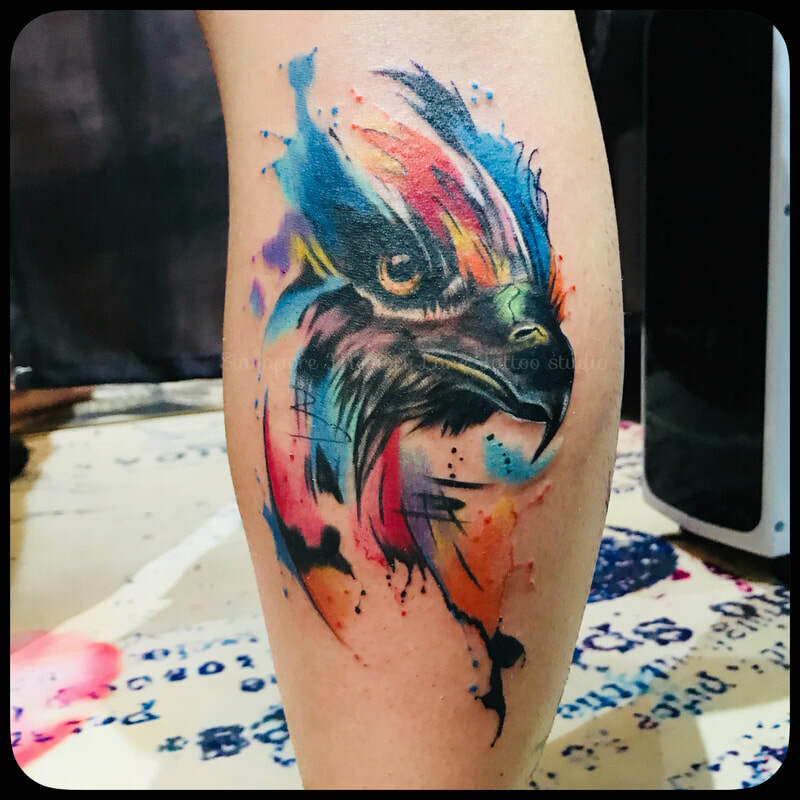 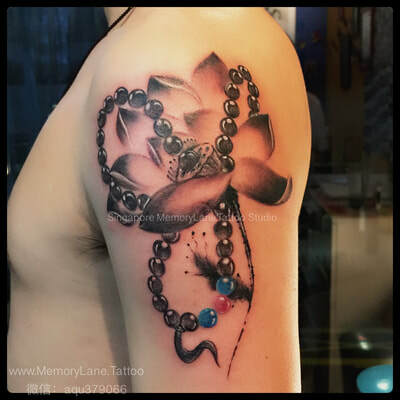 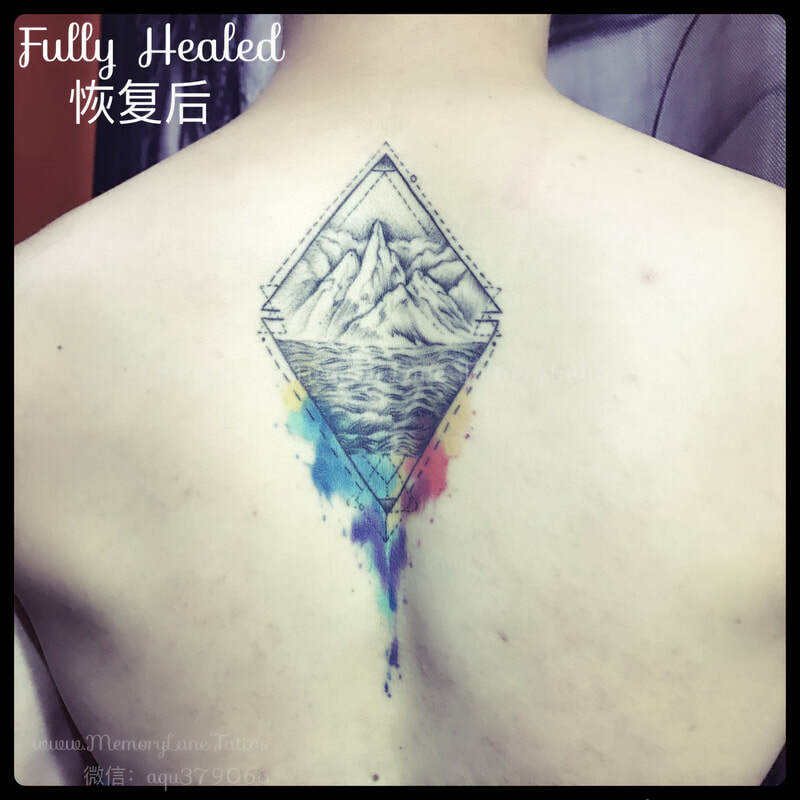 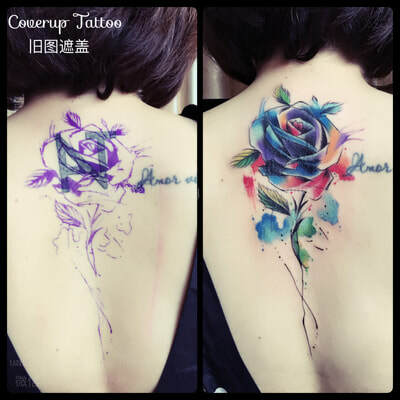 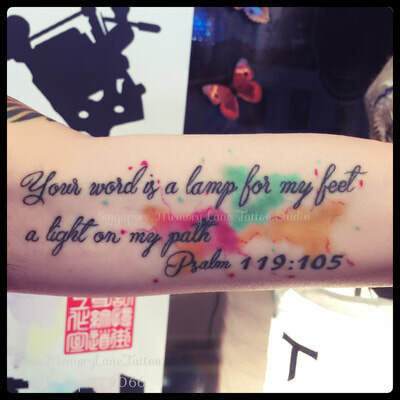 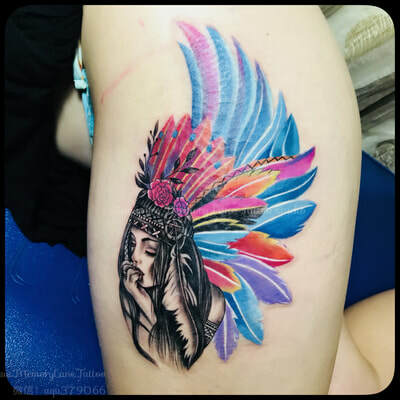 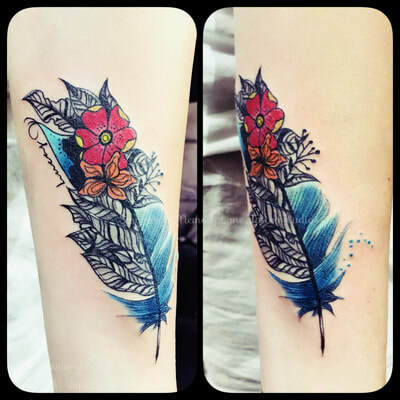 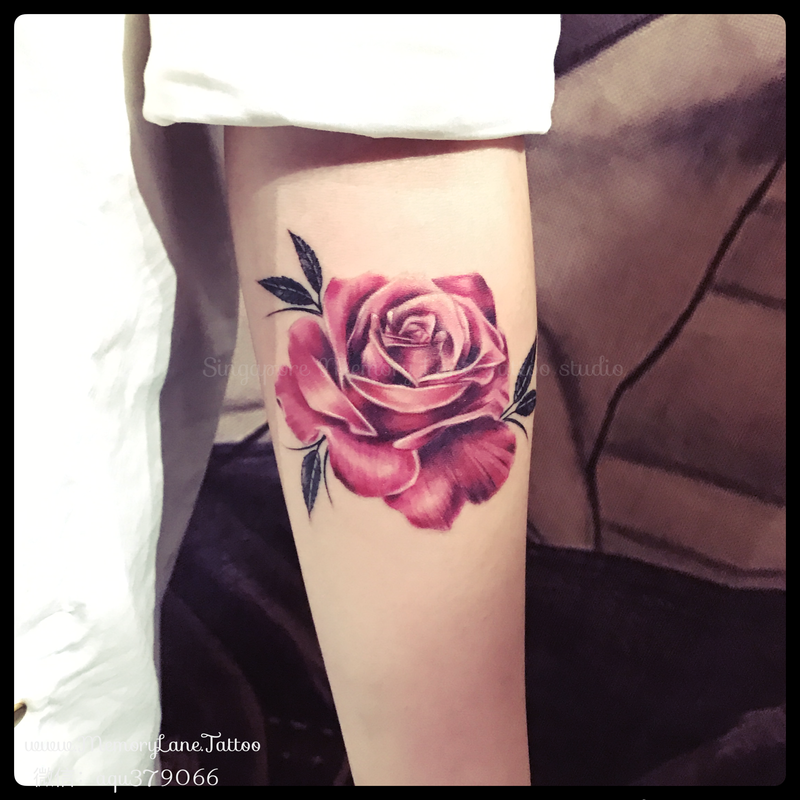 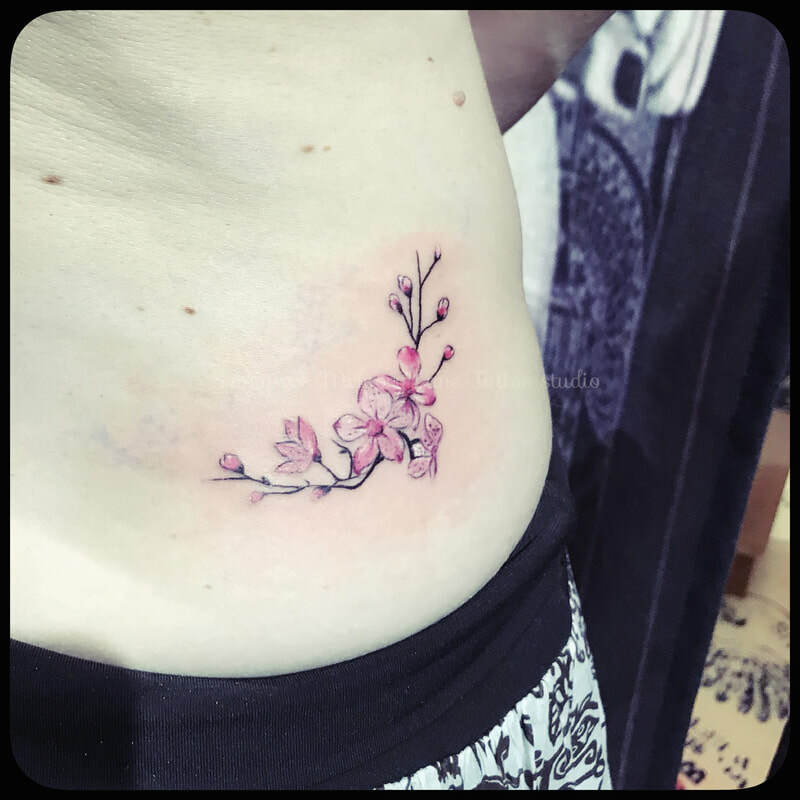 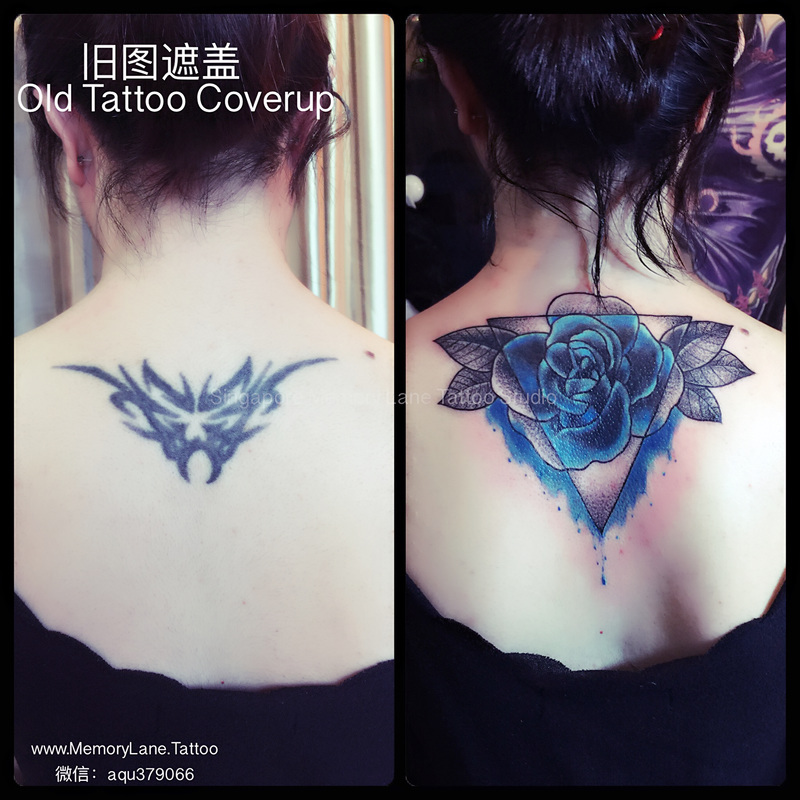 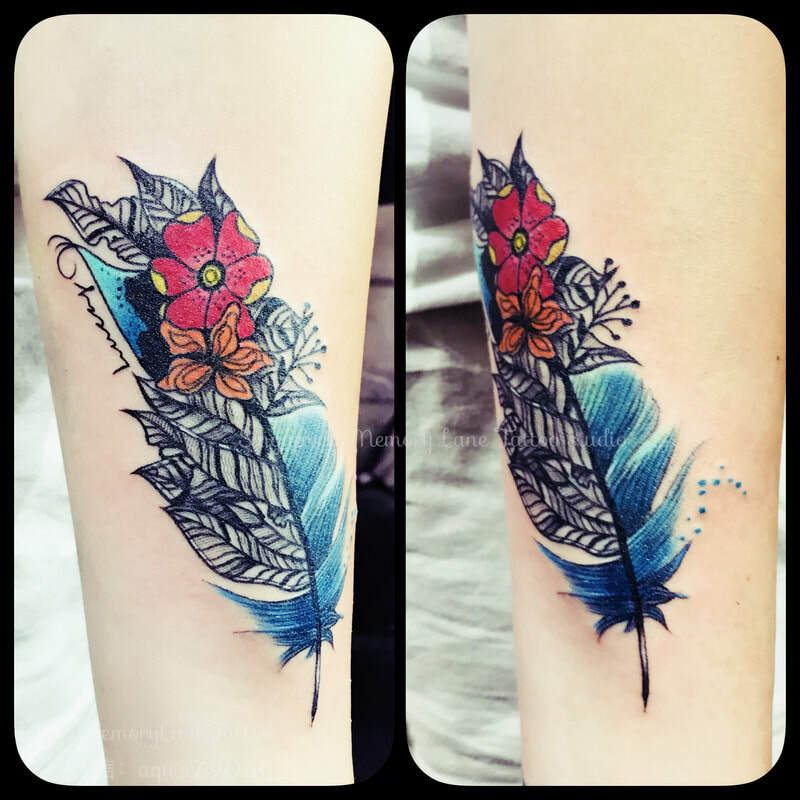 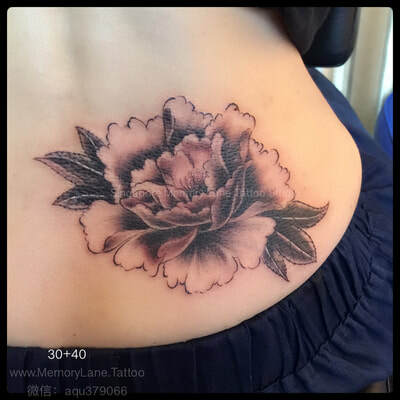 Although she is an all-rounder with expertise in all facets of the tattooing art, Traditional Chinese and Watercolour Styles are her favourites, and it shows! What is Western Watercolour Tattoos? Watercolour Tattoos are inspired by western watercolour paintings which became popular in the late 18th to 19th century. People were captivated by its soft tone and delicate details to its authentic illustration (almost lifelike) like those seen in botanical illustrations and whimsical portrayal of beautiful landscape and architecture. 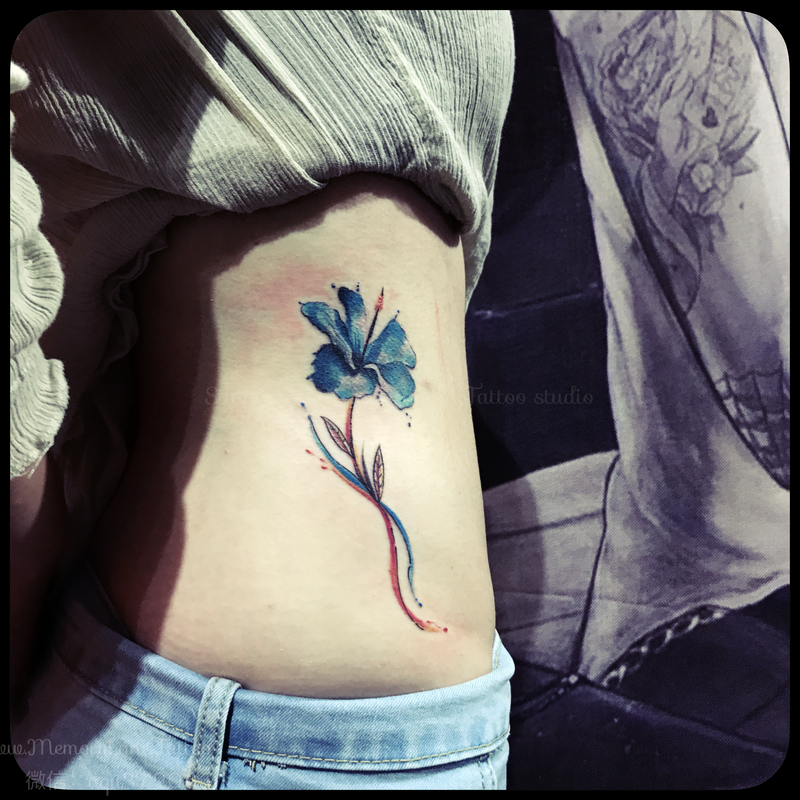 Bear in mind that these were used (and continues to be used) before the age of photography, so there's a definite dreamy and alluring quality to watercolour paintings. 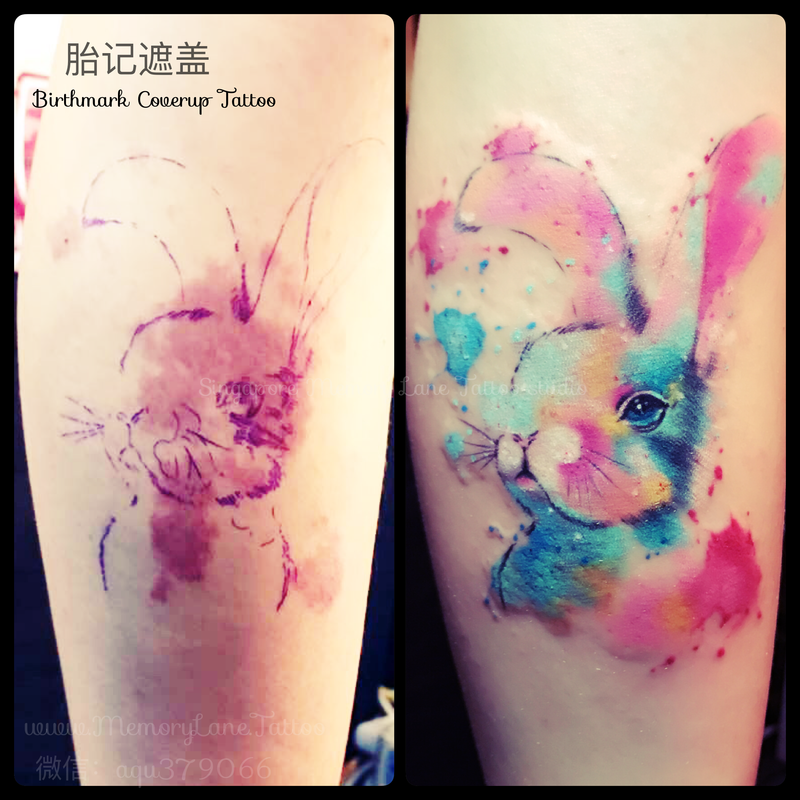 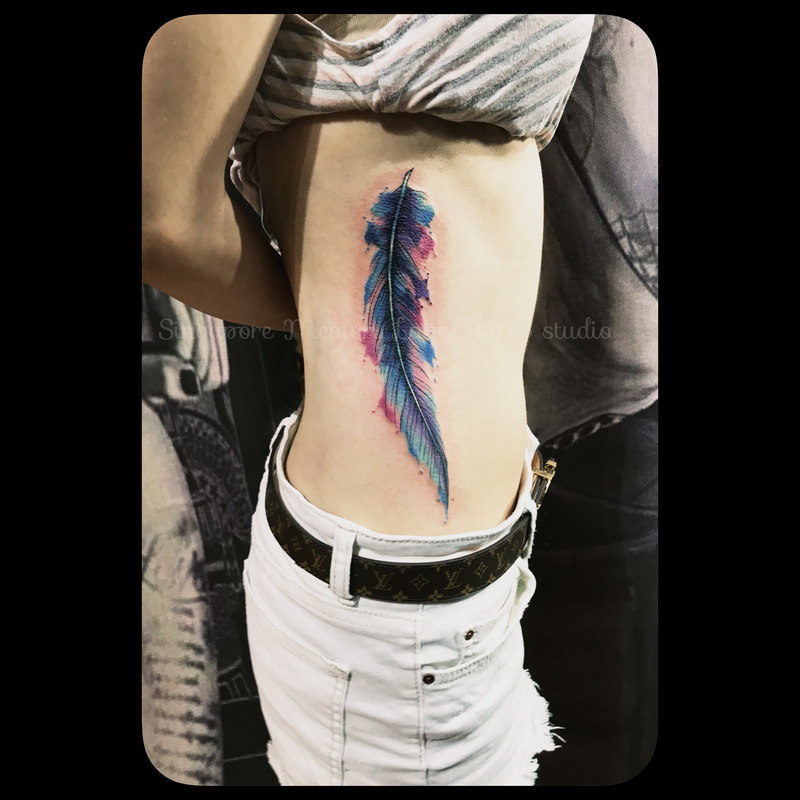 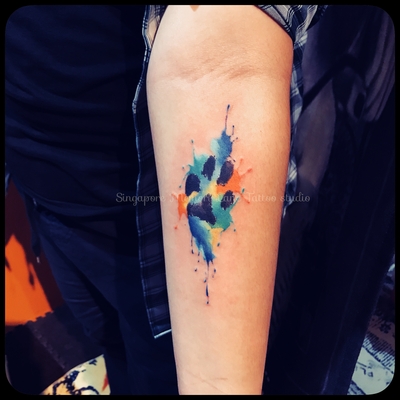 Over the past 10 years, these qualities have captured the imaginations of body art enthusiasts, and sees an ever-increasing demand with artists getting requests for watercolour quality-like tattoos - those soft strokes, colour blur, colour bleeds, fades, shades, blends and runs infused whimsical qualities now being etched on to human skin. 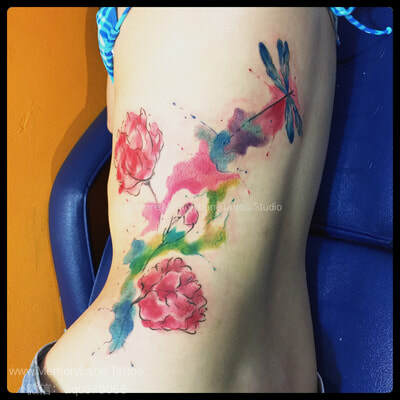 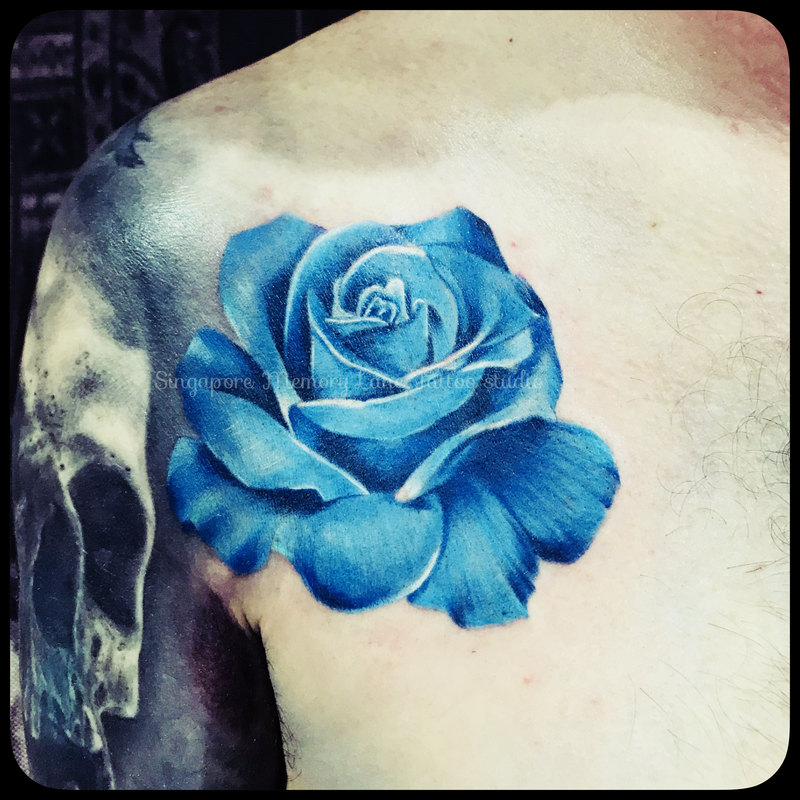 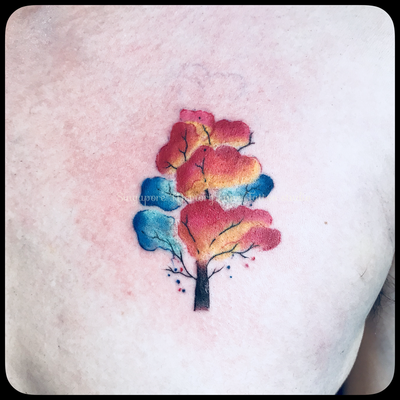 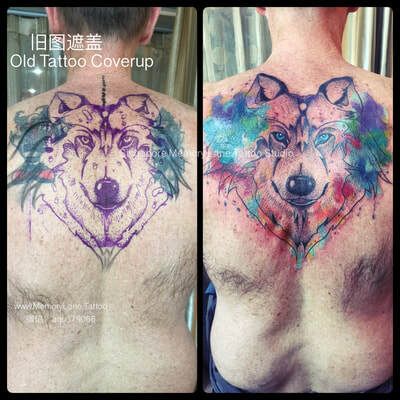 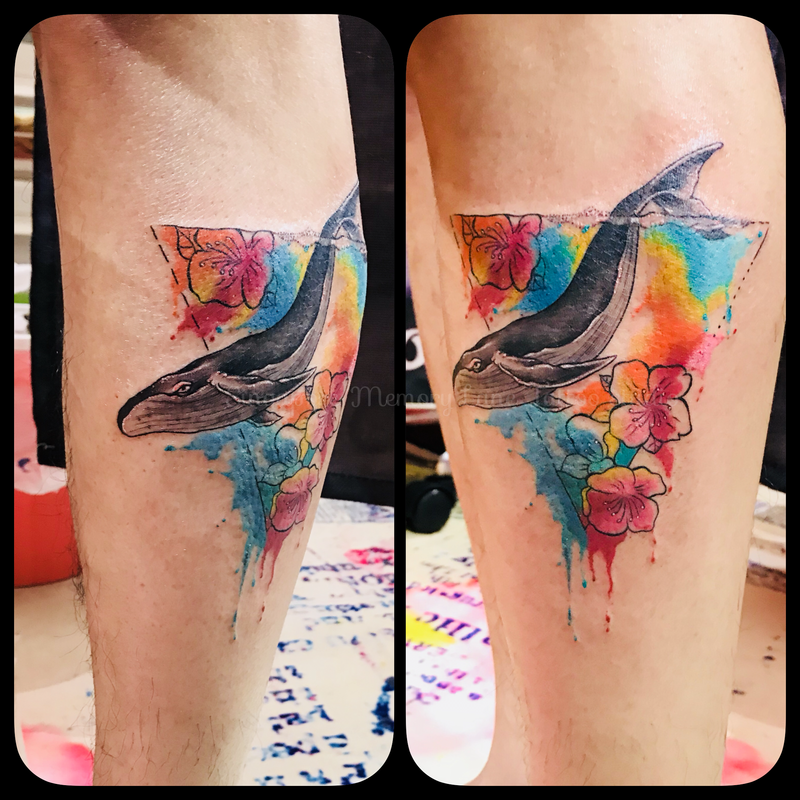 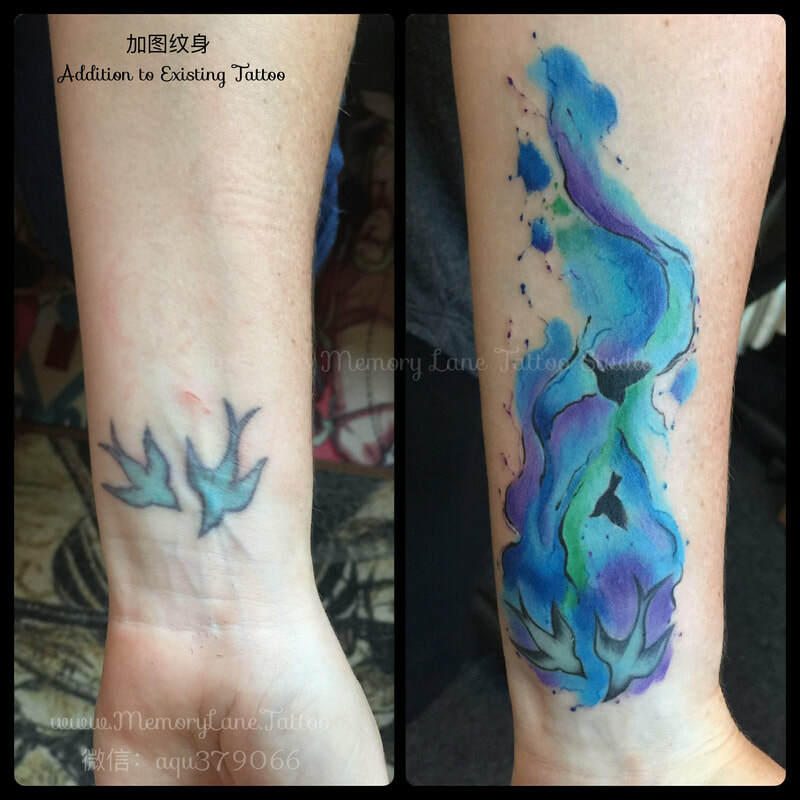 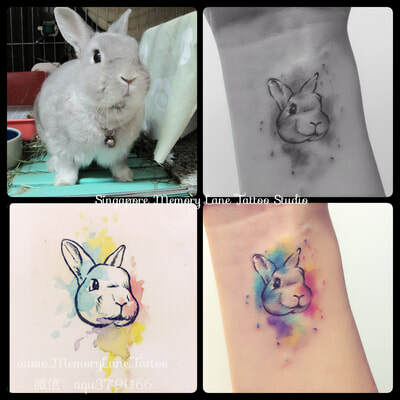 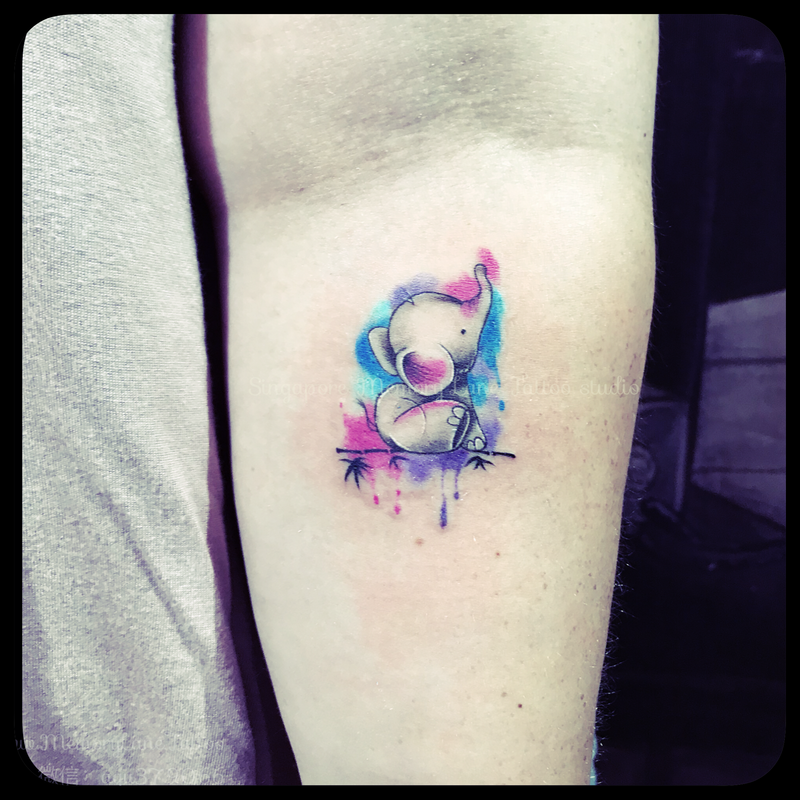 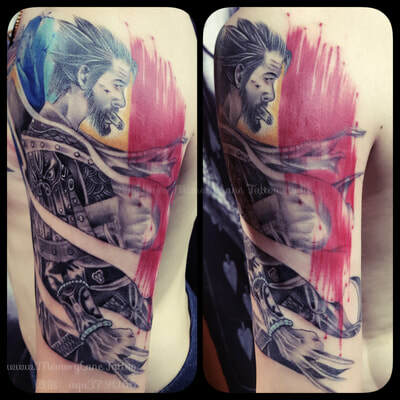 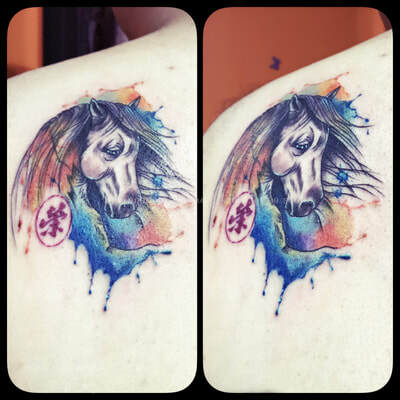 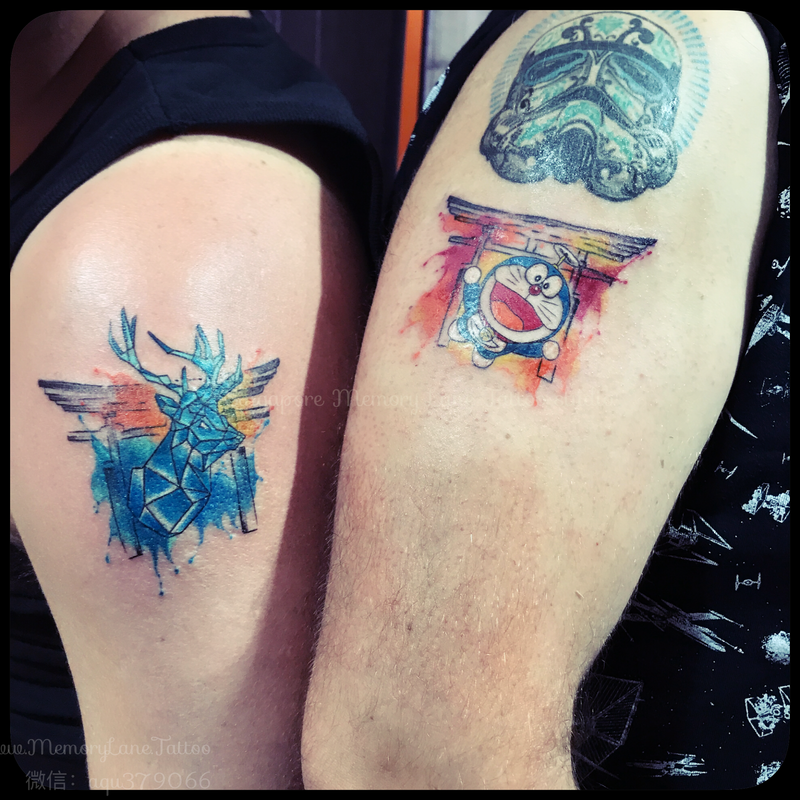 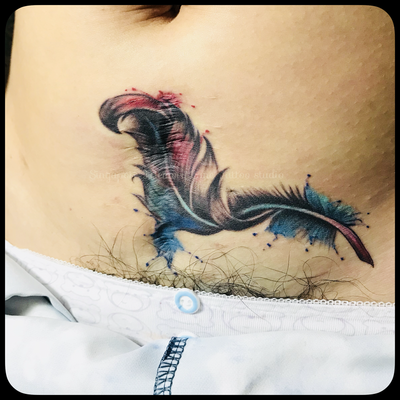 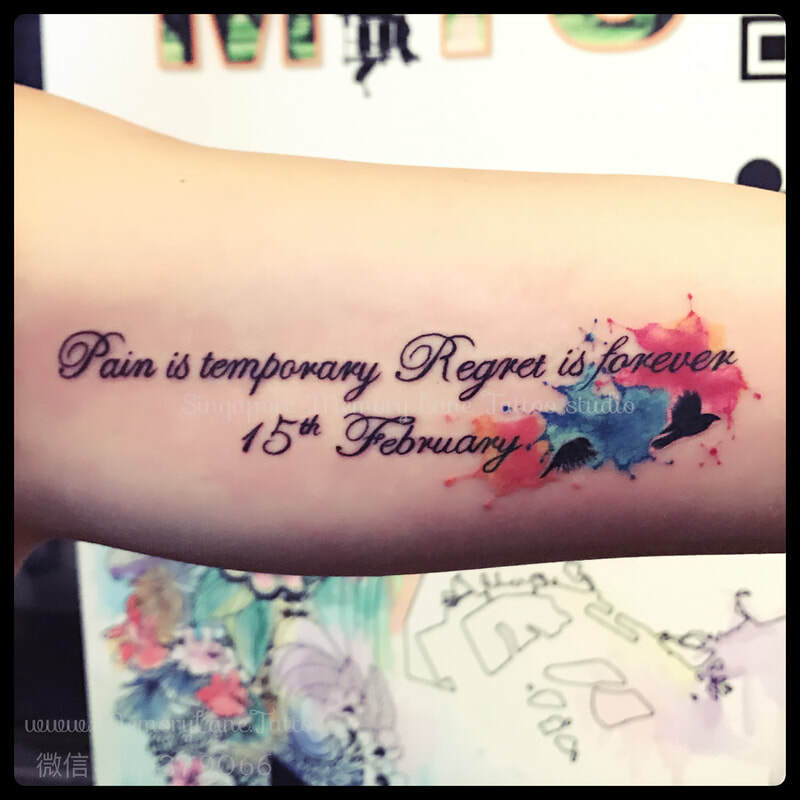 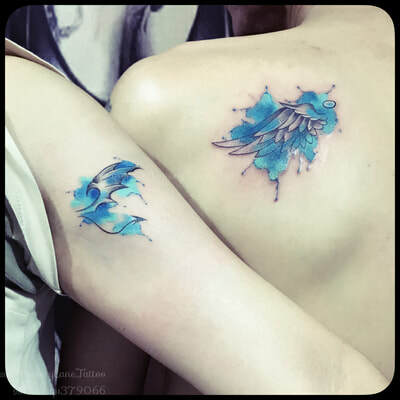 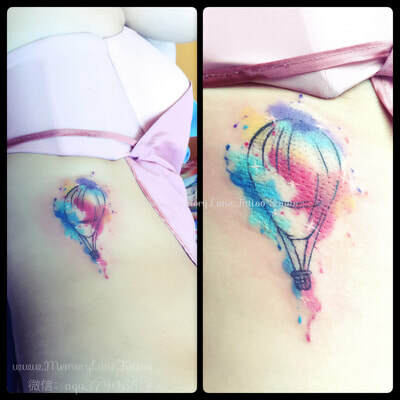 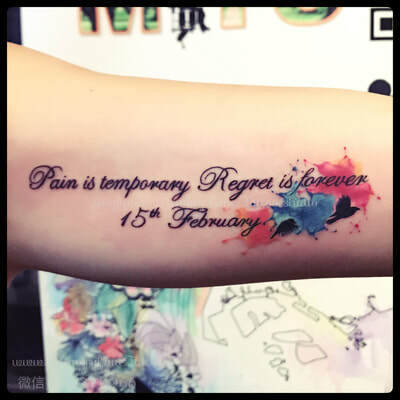 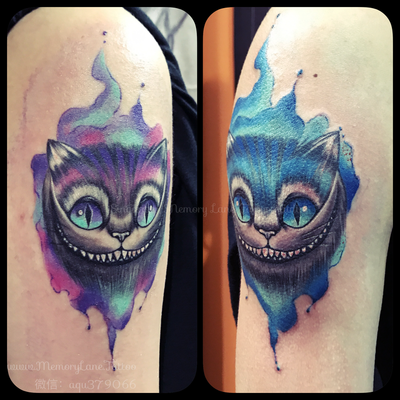 However, only artists who are skilled in fine art paintings, even before holding a tattoo machine will fully appreciate the extend of colour harmony and precision technique required to truly render a true watercolour tattoo. 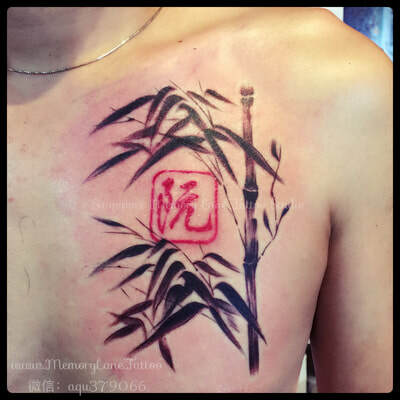 What is Traditional Chinese Painting? 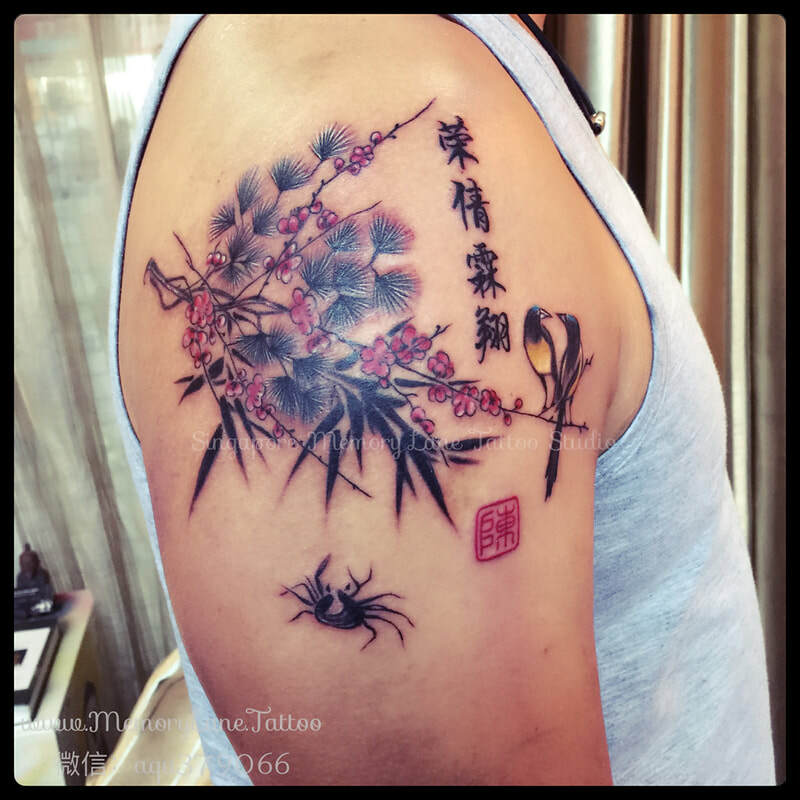 One of the oldest continuous artistic traditions in the world, Traditional Chinese Painting involves using a brush dipped in black or colored ink and creating images using essentially techniques similar to Chinese calligraphy. 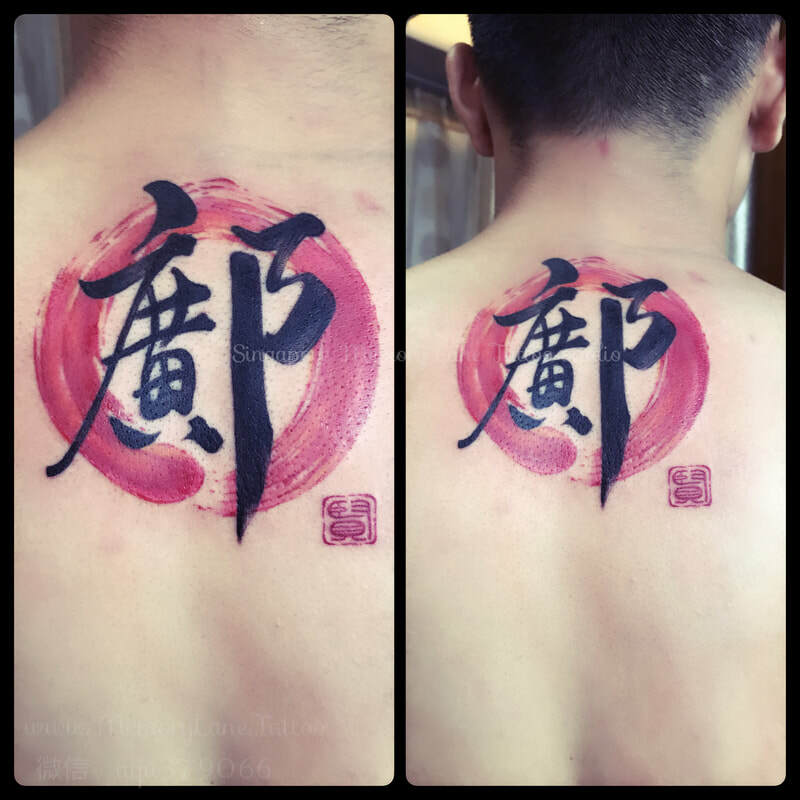 Gong-Bi (工笔): which means "meticulous" in Chinese, uses highly detailed brushstrokes that delimits details in a precise manner. Often highly colourful, it is used to depict figural or narrative subjects, and one of the most popular methods used by imperial court artists in the past. Shui-Mo (水墨): which means "literati painting" in Chinese, is a type of freehand style that was considered a part of the essential "Four Arts" knowledge highly sought after by the Scholar-Official class of imperial China. Unlike western influenced tattoo styles as popularised by Sailor Jerry, Ed Hardy, and other imminent artists, Traditional Chinese Painting style tattoos uses the familiar brushstrokes of Chinese calligraphy to create unique designs of familiar forms into a painting that resembles that of being truly painted on the skin using an artist's brush and ink. 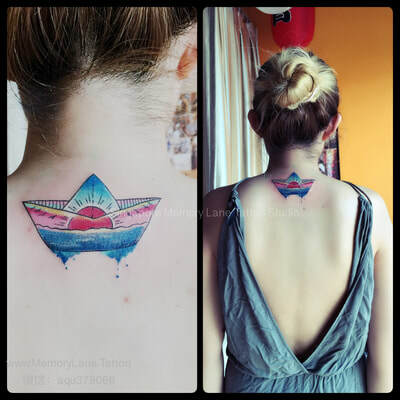 Tattoos, unlike painting on ordinary mediums like paper or canvas, are made on an uneven asymmetrical shaped surface, which distorts and changes as it moves. 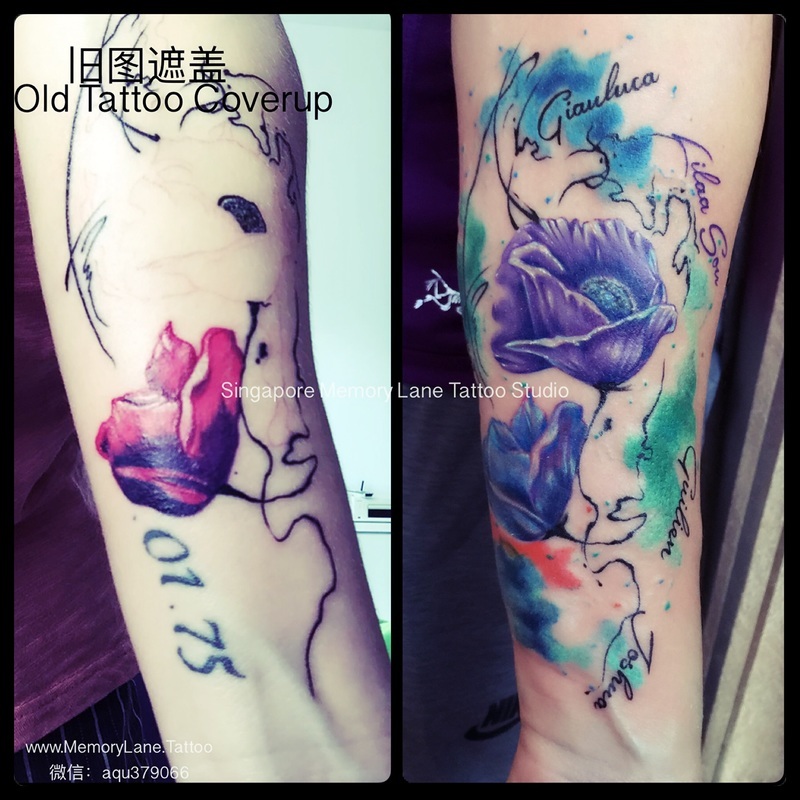 Therefore, Chinese Painting style negates this concern, since its primary structures are made up of individual brushstrokes unlike other tattoo styles. 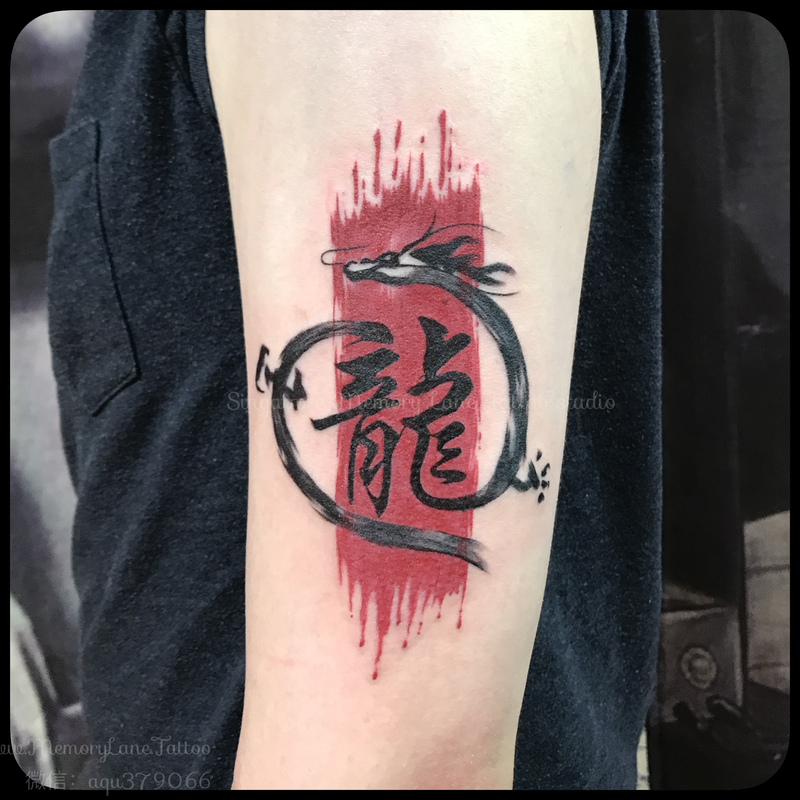 You will not find harsh lines and bold defined borders often seen in tattoo art, but instead, will see immensely rich forms and objects taking shape through soft, flowing strokes that makes up the hallmark of traditional Chinese paintings. Choose from minute detailed designs using the Gong-Bi style, or flowing soft touches of the Shui-Mo style. Whichever you decide to do, it'll be an immensely rich and refreshing new take on a centuries old art form never seen before! 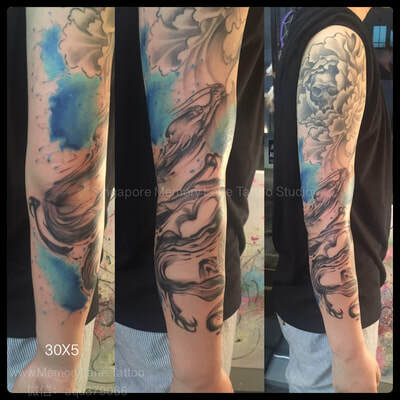 For enquiries and consultation bookings, please call / SMS / WhatsApp us at +65 8720 9852 or email us for further information. 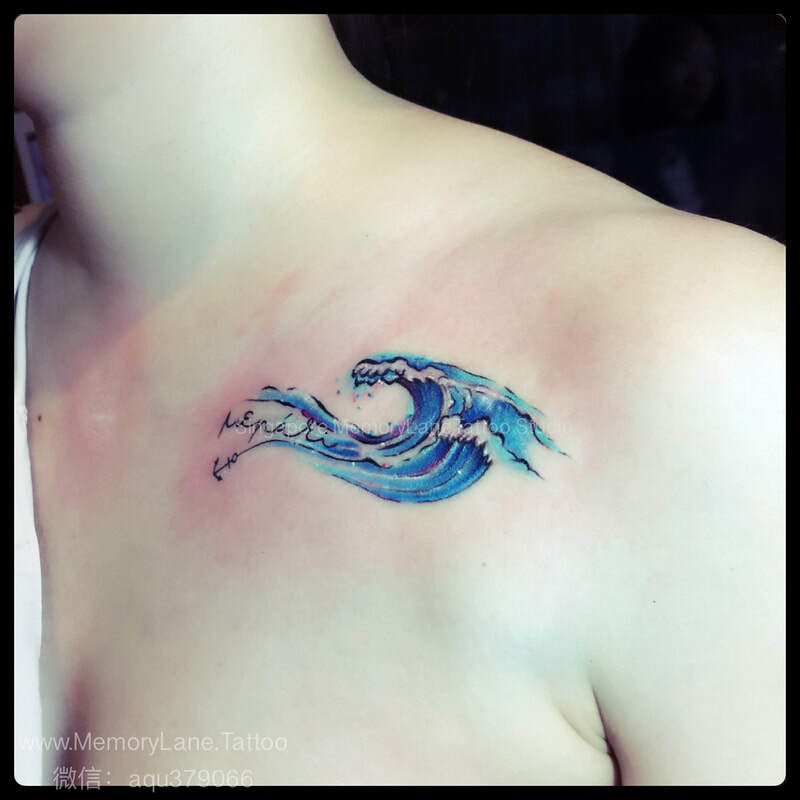 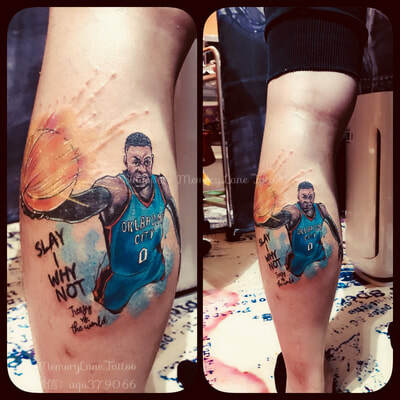 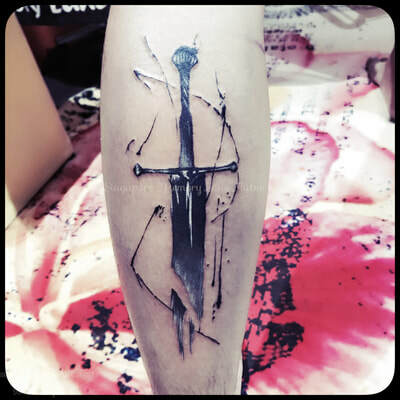 NOTE: Not all tattoo designs are suitable for this unique style of tattooing. 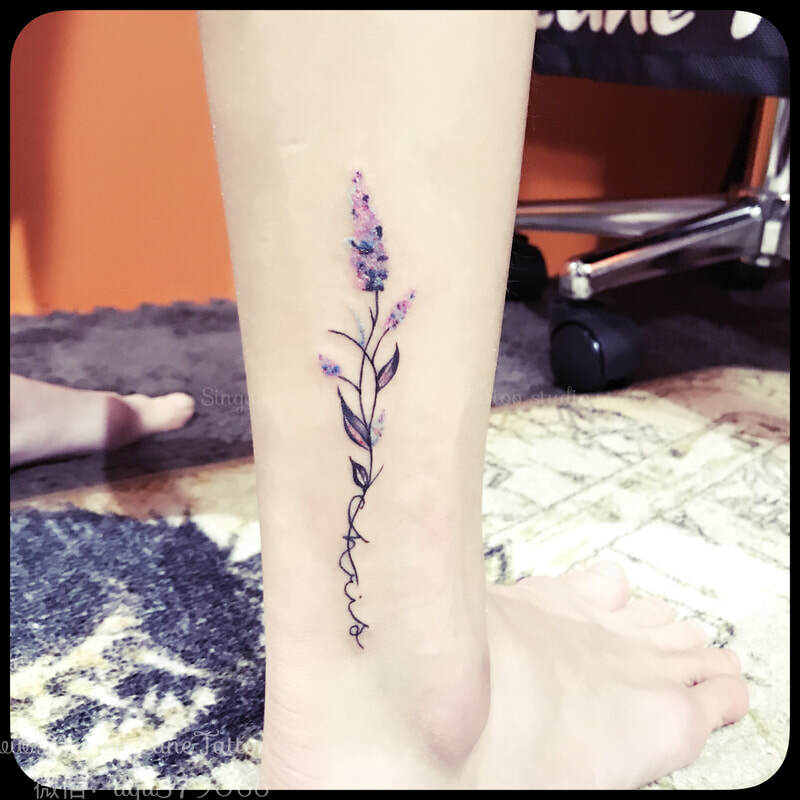 Consult us to see whether it'll fit, or we would be delighted to showcase some of our unique designs made for this style!